Santa Maria del Fiore in Florence Italy. 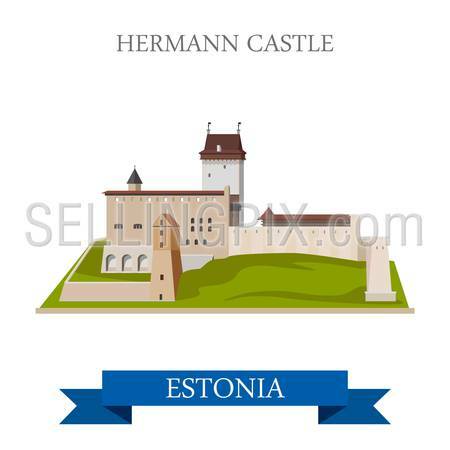 Flat cartoon style historic sight showplace attraction point of interest web site vector illustration. World countries vacation travel sightseeing collection. Colosseum in Rome Italy Romanian heritage. Flat cartoon style historic sight showplace attraction POI web site vector illustration. World countries cities vacation travel sightseeing collection. Saint Mark Basilica in Venice Italy. 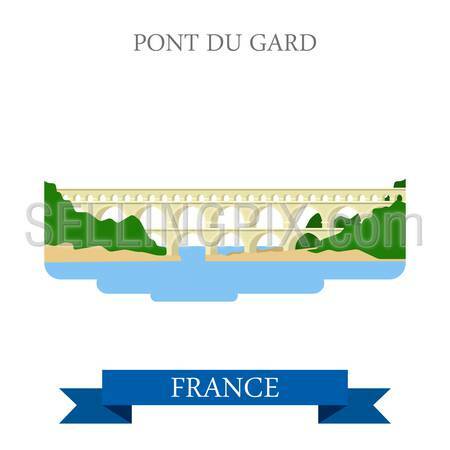 Flat cartoon style historic sight showplace attraction point interest web site vector illustration. World countries cities vacation travel sightseeing collection. Piazza del Campo in Venice Venezia Italy. Flat cartoon style historic sight showplace attraction web site vector illustration. World countries cities vacation travel sightseeing collection. Pompeii Ruins in Italy. Flat cartoon style historic sight showplace point of interest web site vector illustration. Italian heritage. World countries cities vacation travel sightseeing collection. Rialto Bridge Canals of Venice in Italy. 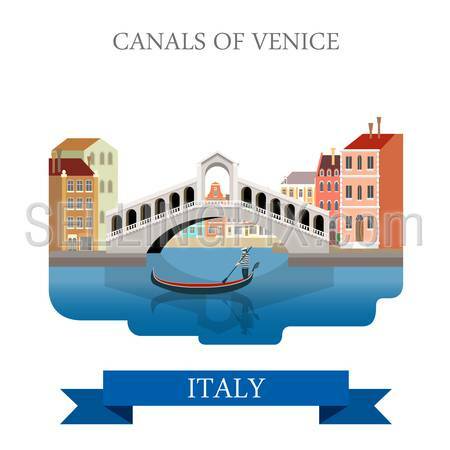 Flat cartoon style gondola historic sight showplace attraction web vector illustration template. World countries cities vacation travel sightseeing collection. 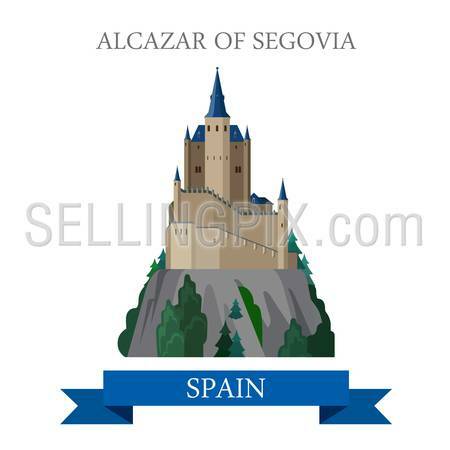 Alcazar of Segovia in Spain. 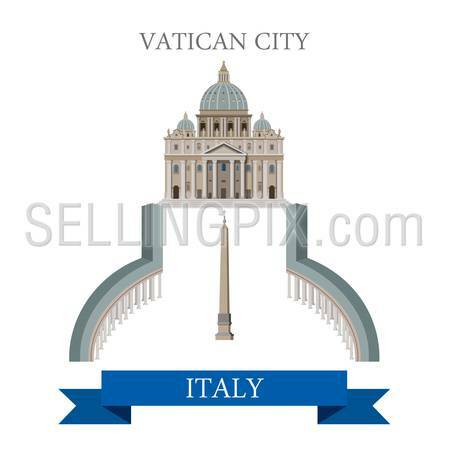 Flat cartoon style historic sight showplace attraction point of interest web site vector illustration. World countries cities vacation travel sightseeing collection. 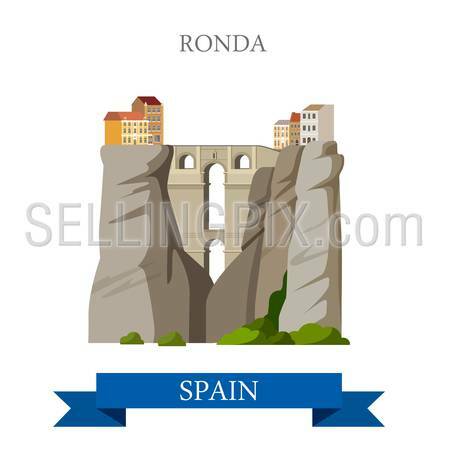 Ronda Bridge over El Tajo Canyon in Malaga Andalusia Spain. 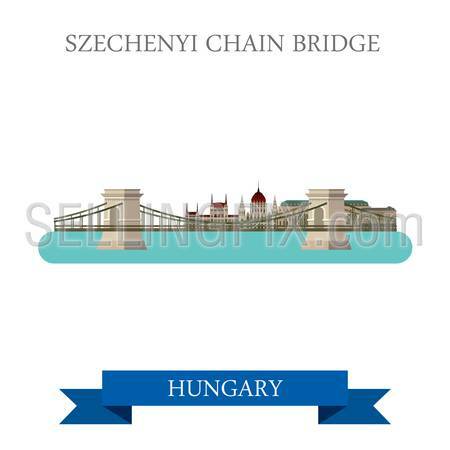 Flat cartoon style historic sight attraction web vector illustration. World countries cities vacation travel sightseeing collection. Hallstatt Lake in Salzkammergut Upper Austria. 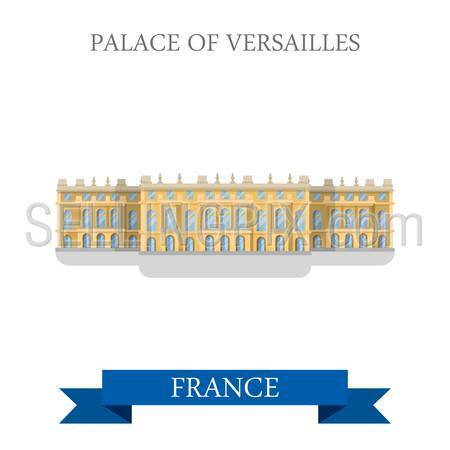 Flat cartoon style historic sight showplace attraction web site vector illustration. World countries cities vacation travel sightseeing collection. Stephansdom St Stephan Cathedral in Vienna Austria. Flat cartoon style historic sight showplace attraction point of interest web site vector illustration. World countries cities vacation travel sightseeing collection. 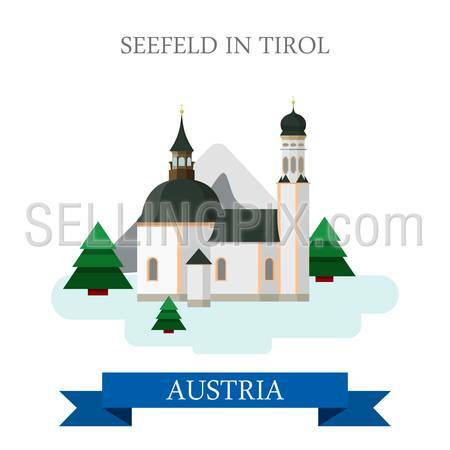 Seefeld in Tirol Village in Innsbruck Land Tyrol Austria. 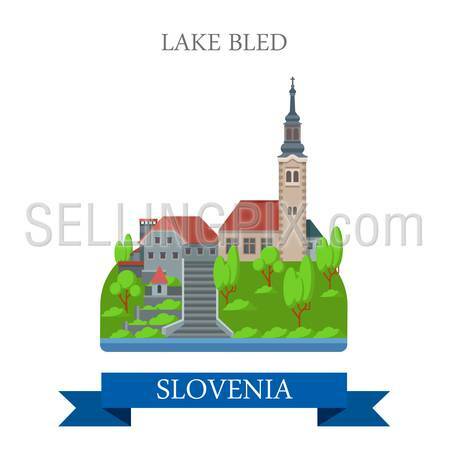 Flat cartoon style historic sight showplace attraction web vector illustration. World countries cities vacation travel sightseeing collection. Brandenburg Gate in Berlin Germany. 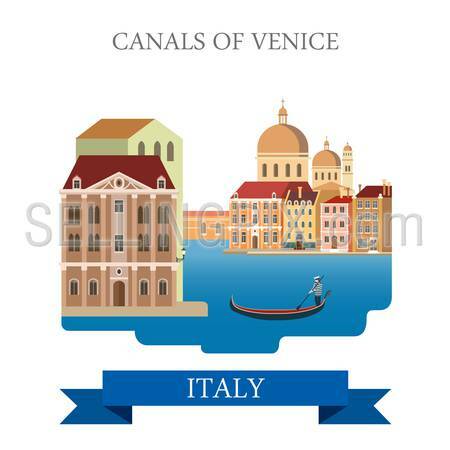 Flat cartoon style historic sight showplace attraction point of interest web site vector illustration. . World countries cities vacation travel sightseeing collection. 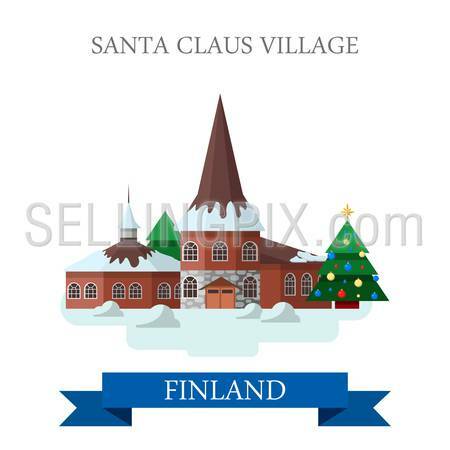 Santa Claus Village Residence in Finland. 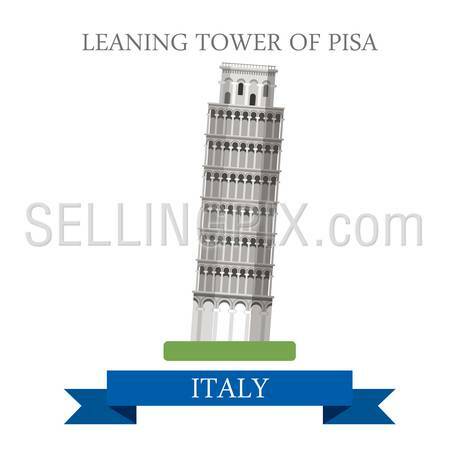 Flat cartoon style historic sight showplace attraction POI web site vector illustration. World countries cities vacation travel sightseeing collection. Cologne Cathedral Kolner Dom in North Rhine Westphalia Germany. 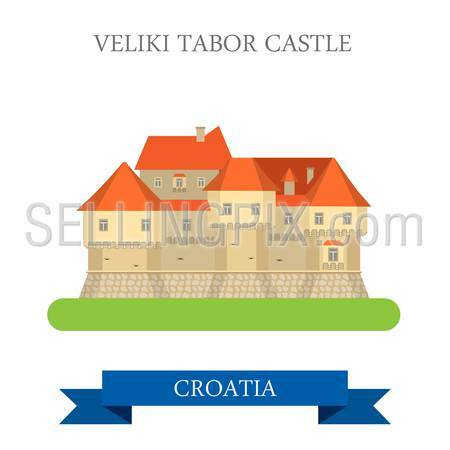 Flat cartoon style historic sight web site vector illustration. World countries cities vacation travel sightseeing collection. 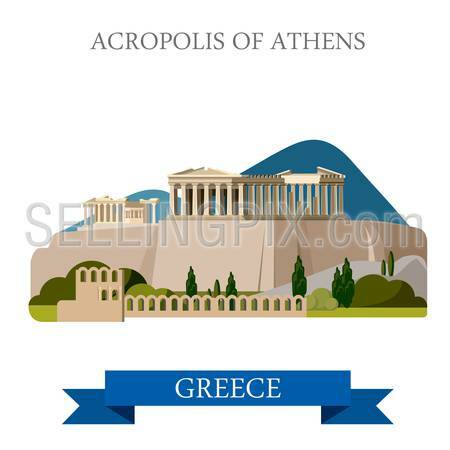 Acropolis of Athens ancient monument in Greece. Flat cartoon style historic sight showplace attraction web site vector illustration. World countries cities vacation travel sightseeing collection. Santorini Aegean Sea Islands in Greece. Flat cartoon style historic sight showplace attraction web site vector illustration. World countries cities vacation travel sightseeing collection. 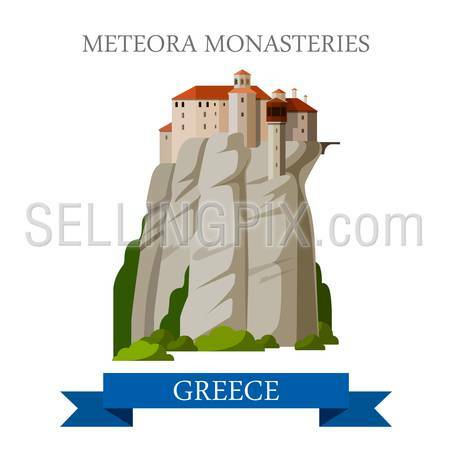 Meteora Monasteries Greek Orthodox in Greece. 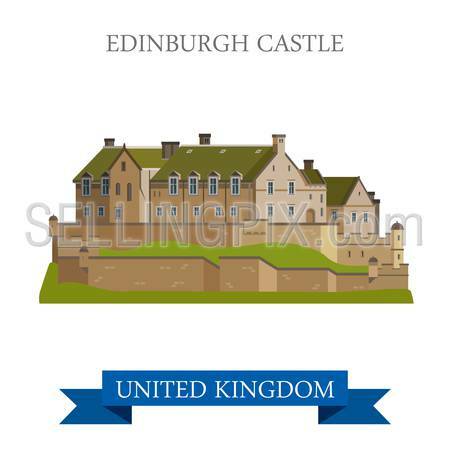 Flat cartoon style historic sight showplace attraction web site vector illustration. World countries cities vacation travel sightseeing collection. 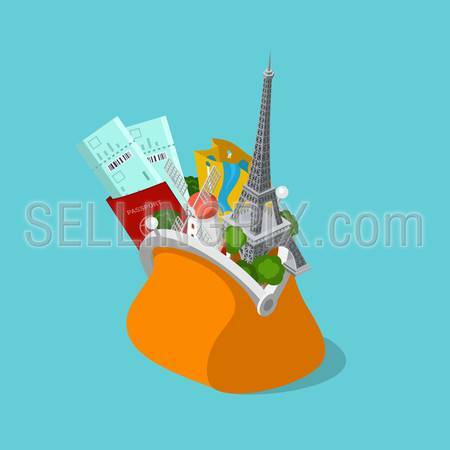 Flat style travel tourism sightseeing accessory equipment vector illustration web collage. Backpack rucksack mobile navigation smartphone binocular DSLR phone camera lens passport ticket glasses. 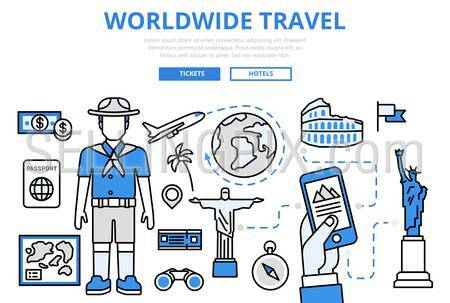 Family summer holiday travel beach vacation Egypt sightseeing flat style concept web vector illustration people activity icon set. Taxi to airport plane boarding passport control sea Sphinx selfie. 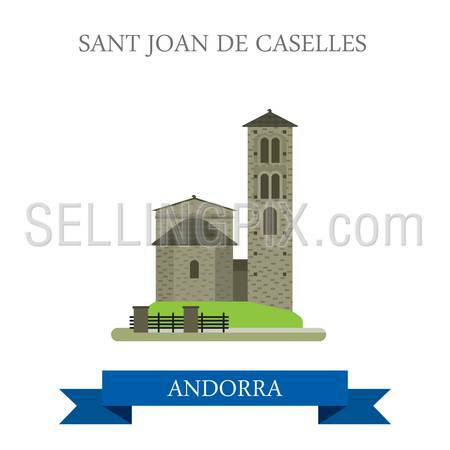 Sant Joan de Caselles in Andorra. Flat cartoon style historic sight showplace attraction web site vector illustration. World countries cities vacation travel sightseeing collection. Mirsky Castle Complex in Grodno Belarus. Flat cartoon style historic sight showplace attraction web site vector illustration. World countries cities vacation travel sightseeing collection. 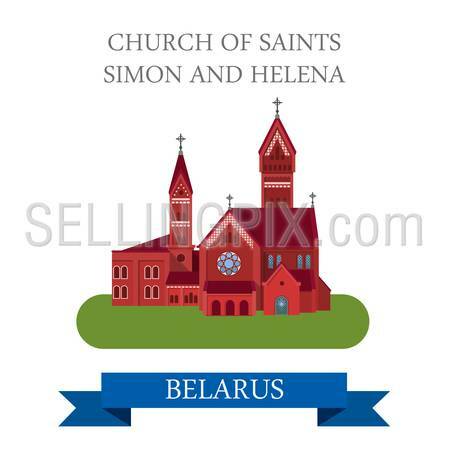 Church of Saints Simon and Helena in Minsk Belarus. 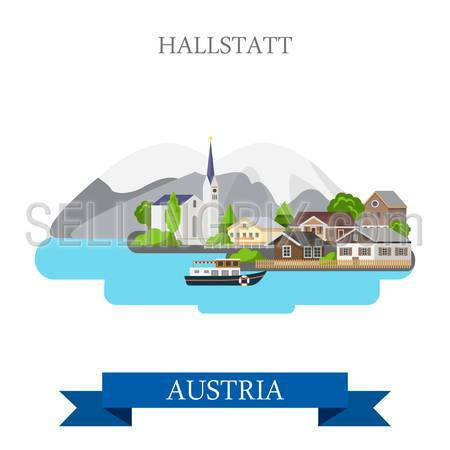 Flat cartoon style historic sight showplace attraction web site vector illustration. World countries cities vacation travel sightseeing collection. Vallnord well known famous mountain ski resort in Andorra. Flat cartoon style historic sight showplace attraction web site vector illustration. World countries cities vacation travel sightseeing collection. Museum Aan De Stroom in Antwerp Belgium. Flat cartoon style historic sight showplace attraction web site vector illustration. World countries cities vacation travel sightseeing collection. 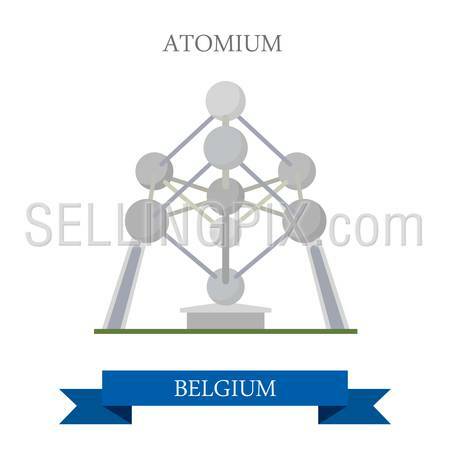 Atomium in Brussel Belgium. 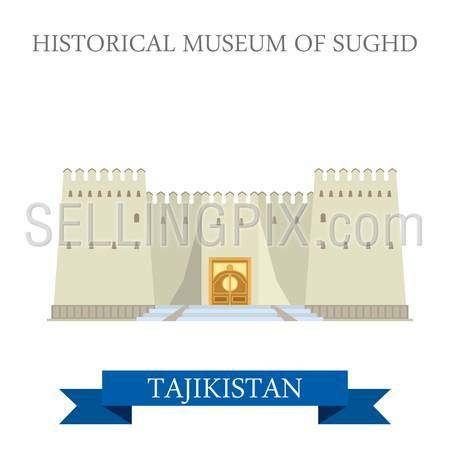 Flat cartoon style historic sight showplace attraction web site vector illustration. World countries cities vacation travel sightseeing collection. 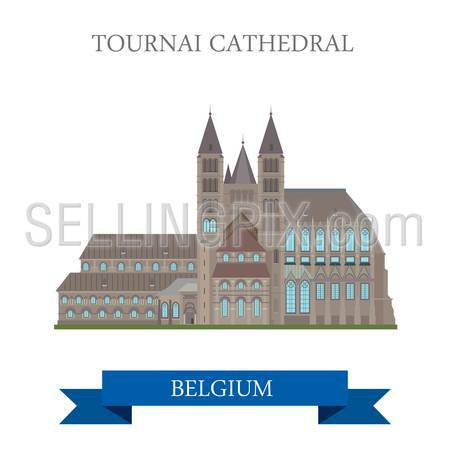 Tournai Cathedral in Belgium. 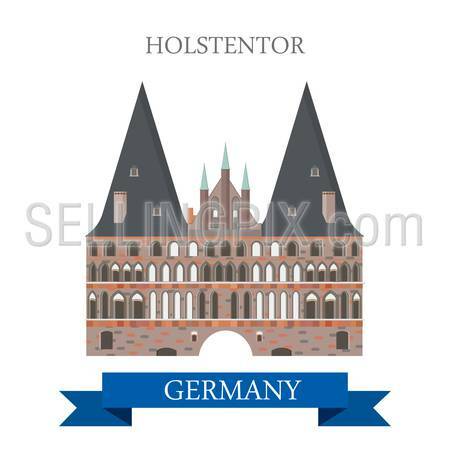 Flat cartoon style historic sight showplace attraction web site vector illustration. World countries cities vacation travel sightseeing collection. Cathedral of St Mikhael and St Gudula in Brussels Belgium. 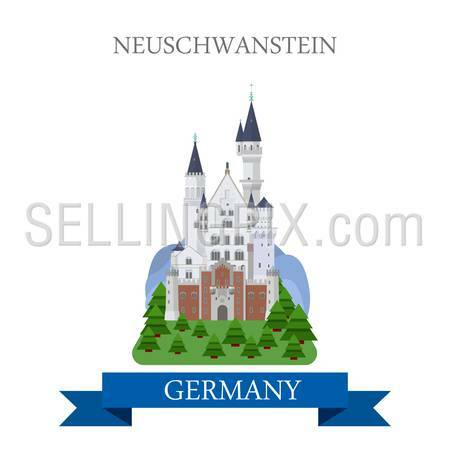 Flat cartoon style historic sight showplace attraction web site vector illustration. World countries cities vacation travel sightseeing collection. Church of Christ Pantocrator Nesebar in Bulgaria. 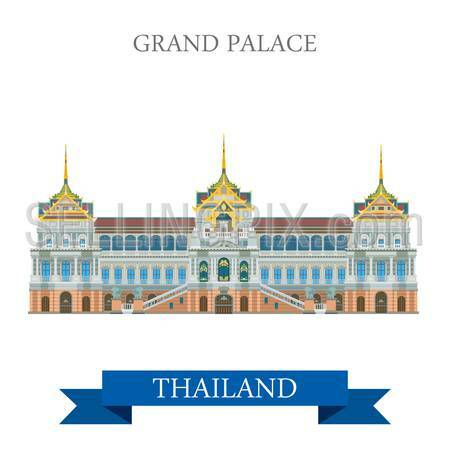 Flat cartoon style historic sight showplace attraction web site vector illustration. World countries cities vacation travel sightseeing collection. 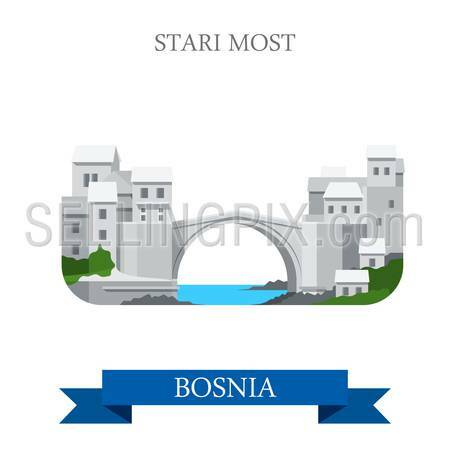 Stari Most aka Old Bridge in Mostar Bosnia and Herzegovina. Flat cartoon style historic sight showplace attraction web site vector illustration. World countries cities vacation sightseeing collection. 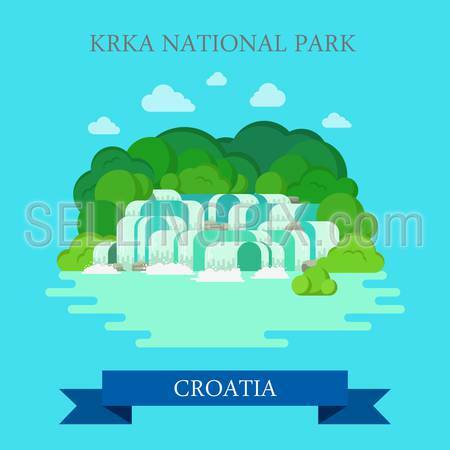 KRKA National Park in Croatia. 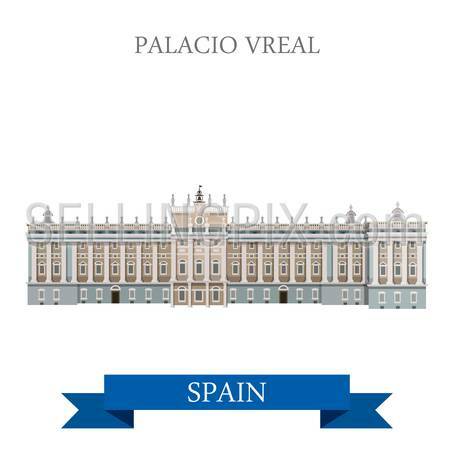 Flat cartoon style historic sight showplace attraction web site vector illustration. World countries cities vacation travel sightseeing collection. Rila Monastery in Bulgaria. Flat cartoon style historic sight showplace attraction web site vector illustration. World countries cities vacation travel sightseeing collection. Veliki Tabor Castle in Zagorje Croatia. Flat cartoon style historic sight showplace attraction web site vector illustration. World countries cities vacation travel sightseeing collection. 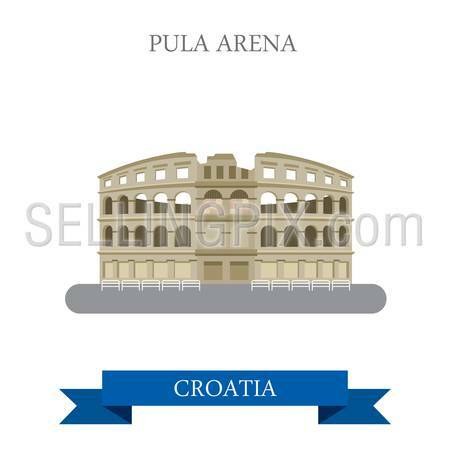 Pula Arena in Croatia. 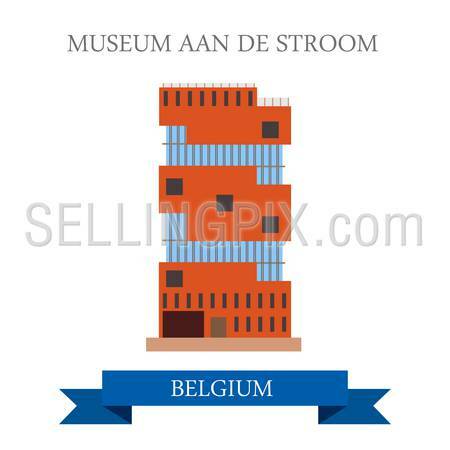 Flat cartoon style historic sight showplace attraction web site vector illustration. World countries cities vacation travel sightseeing collection. 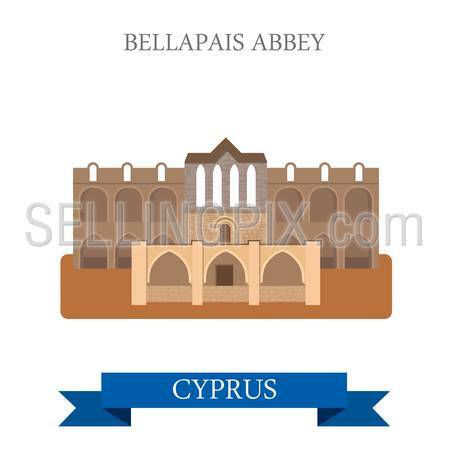 Bellapais Abbey in Northern Cyprus. Flat cartoon style historic sight showplace attraction web site vector illustration. World countries cities vacation travel sightseeing collection. 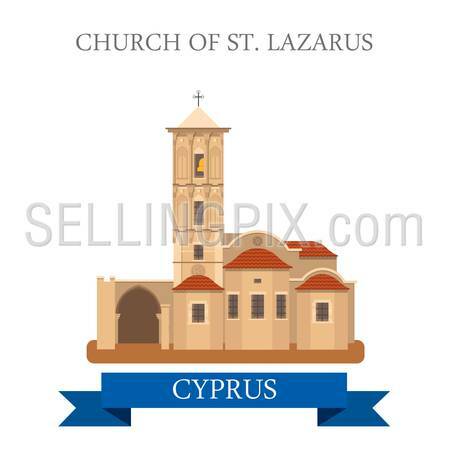 Church of St Lazarus in Larnaca Cyprus. Flat cartoon style historic sight showplace attraction web site vector illustration. World countries cities vacation travel sightseeing collection. 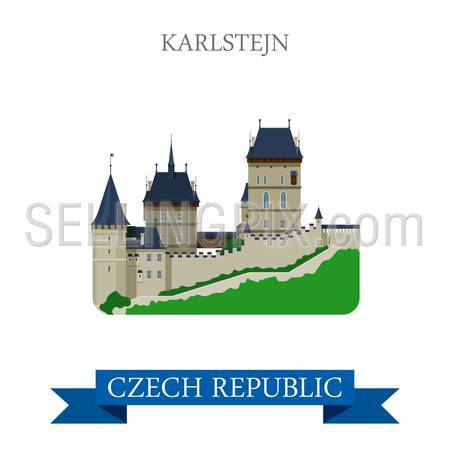 Karlstejn Castle in Czech Republic. 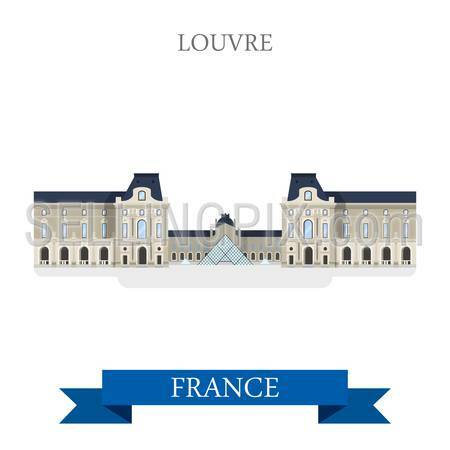 Flat cartoon style historic sight showplace attraction landmarks web site vector illustration. World countries cities vacation travel sightseeing collection. Cathedral of St Peter and Paul in Brno Czech Republic. 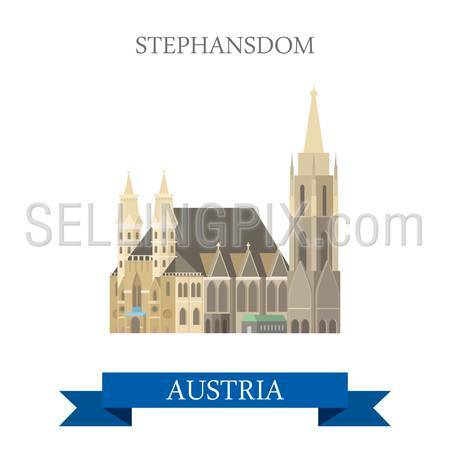 Flat cartoon style historic sight showplace attraction landmarks web site vector illustration. World countries cities vacation travel sightseeing collection. 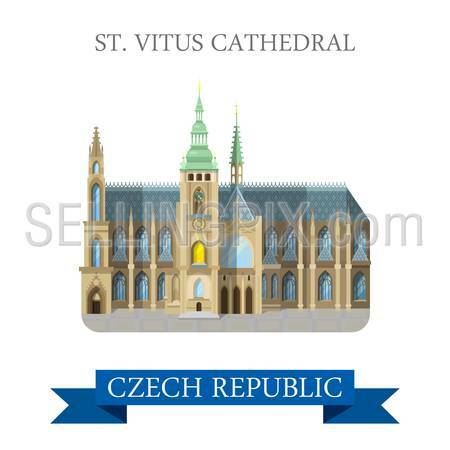 St Vitus Cathedral in Prague Czech Republic. 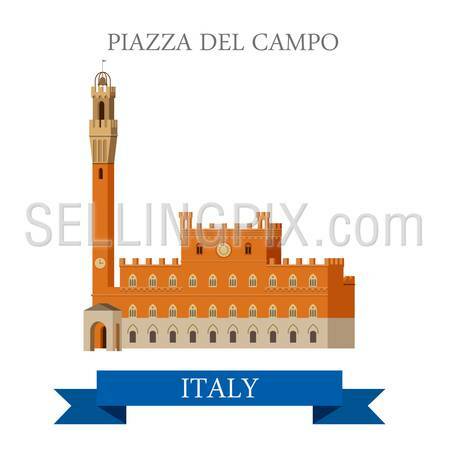 Flat cartoon style historic sight showplace attraction landmarks web site vector illustration. World countries cities vacation travel sightseeing collection. 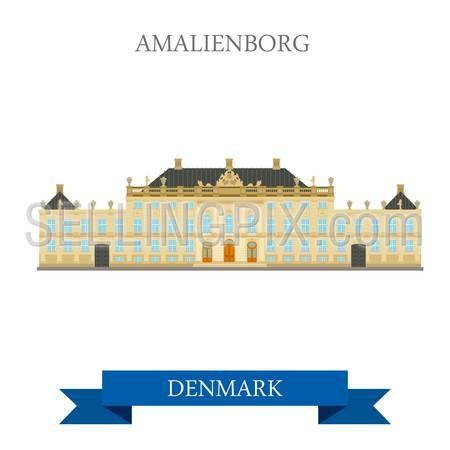 Amalienborg in Copenhagen Denmark. 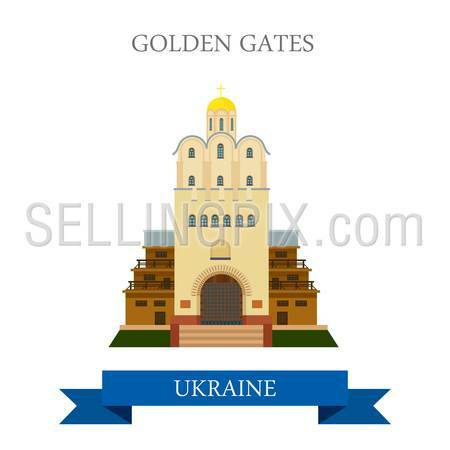 Flat cartoon style historic sight showplace attraction landmarks web site vector illustration. World countries cities vacation travel sightseeing collection. City Hall Square in Copenhagen Denmark. 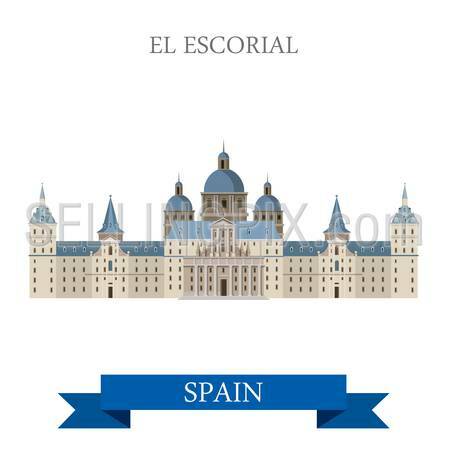 Flat cartoon style historic sight showplace attraction landmarks web site vector illustration. World countries cities vacation travel sightseeing collection. Christiansborg Palace in Copenhagen Denmark. 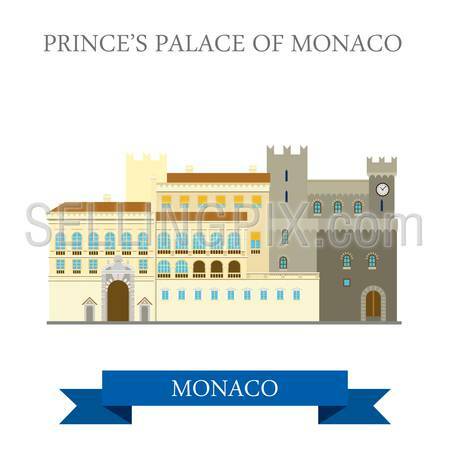 Flat cartoon style historic sight showplace attraction landmarks web site vector illustration. World countries cities vacation travel sightseeing collection. 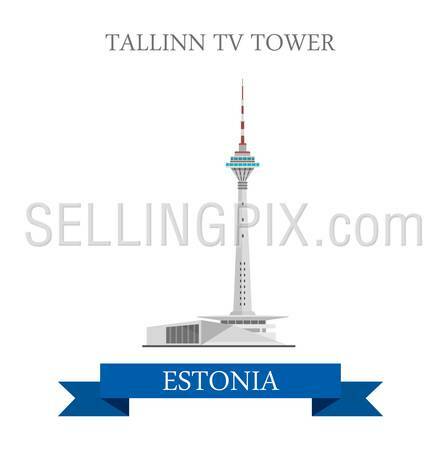 Tallinn TV Tower in Estonia. 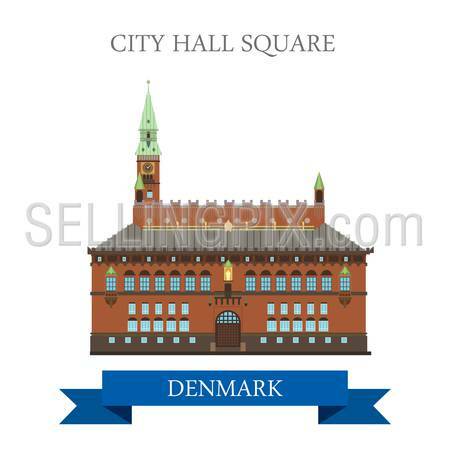 Flat cartoon style historic sight showplace attraction landmarks web site vector illustration. World countries cities vacation travel sightseeing collection. 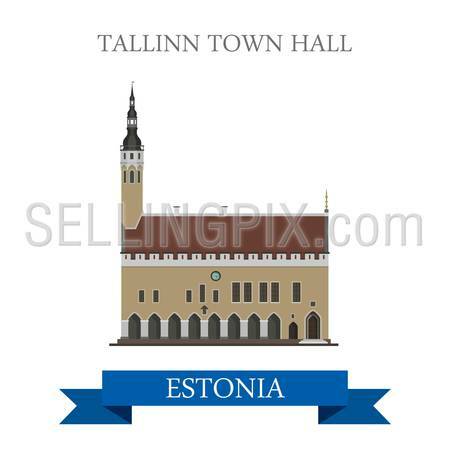 Tallinn Town Hall in Estonia. 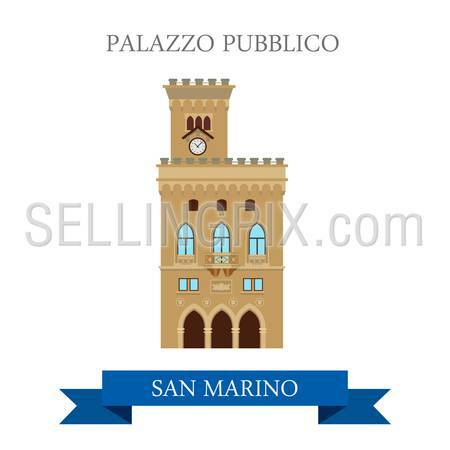 Flat cartoon style historic sight showplace attraction landmarks web site vector illustration. World countries cities vacation travel sightseeing collection. Arc de Triomphe in Paris France. 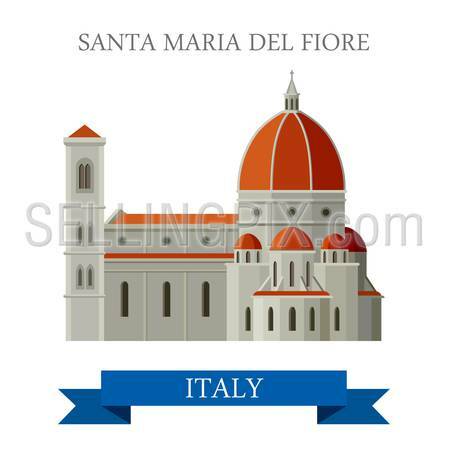 Flat cartoon style historic sight showplace attraction landmarks web site vector illustration. World countries cities vacation travel sightseeing collection. Pont du Gard in France. 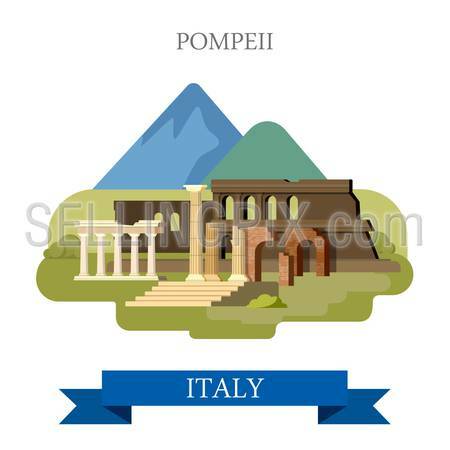 Flat cartoon style historic sight showplace attraction landmarks web site vector illustration. World countries cities vacation travel sightseeing collection. Hermann Castle in Estonia. Flat cartoon style historic sight showplace attraction landmarks web site vector illustration. World countries cities vacation travel sightseeing collection. Basilica of the Sacred Heart in Paris France. 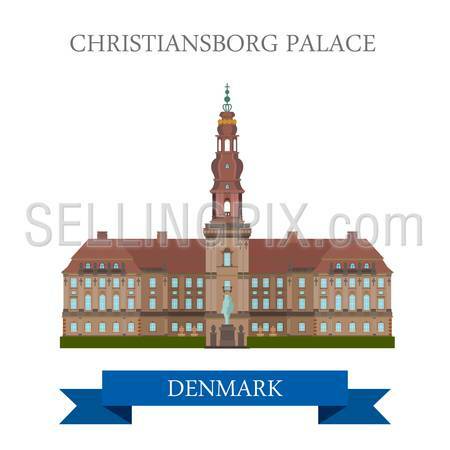 Flat cartoon style historic sight showplace attraction landmarks web site vector illustration. World countries cities vacation travel sightseeing collection. 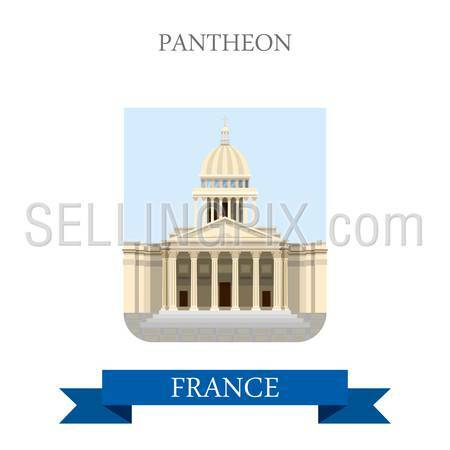 Pantheon in Paris France. 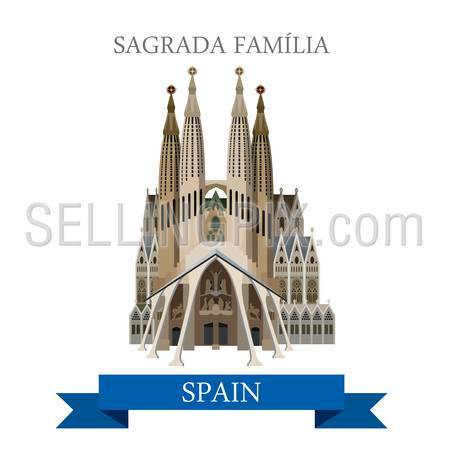 Flat cartoon style historic sight showplace attraction landmarks web site vector illustration. World countries cities vacation travel sightseeing collection. Palace of Versailles in France. 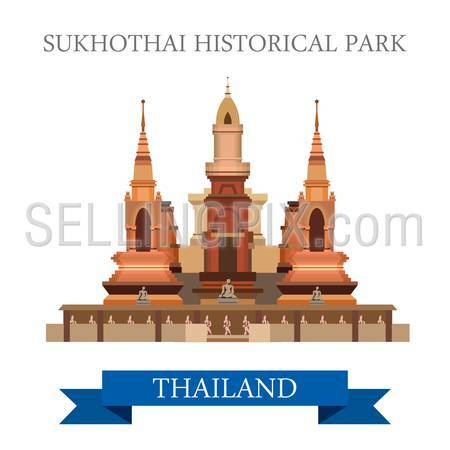 Flat cartoon style historic sight showplace attraction landmarks web site vector illustration. World countries cities vacation travel sightseeing collection. Louvre Museum in Paris France. 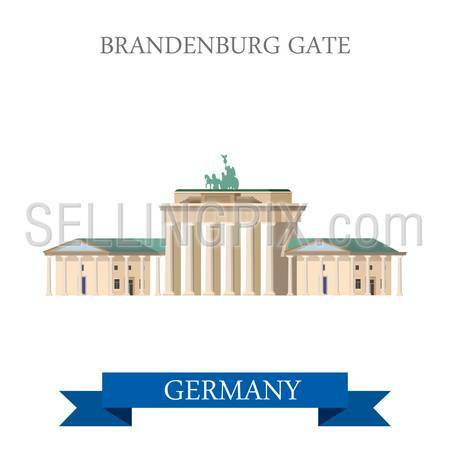 Flat cartoon style historic sight showplace attraction landmarks web site vector illustration. World countries cities vacation travel sightseeing collection. Notre Dame de Paris in France. 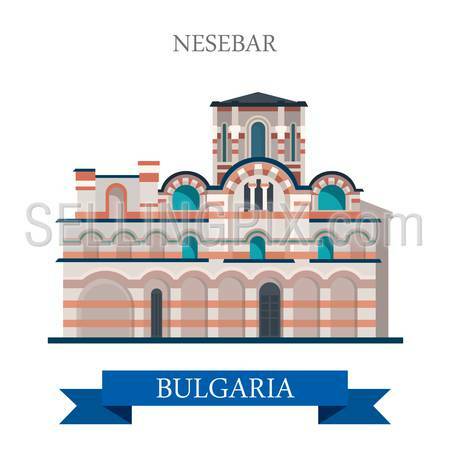 Flat cartoon style historic sight showplace attraction landmarks web site vector illustration. World countries cities vacation travel sightseeing collection. 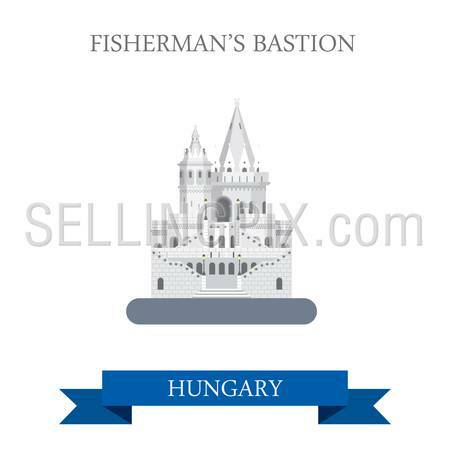 Fishermans bastion in Budapest, Hungary. 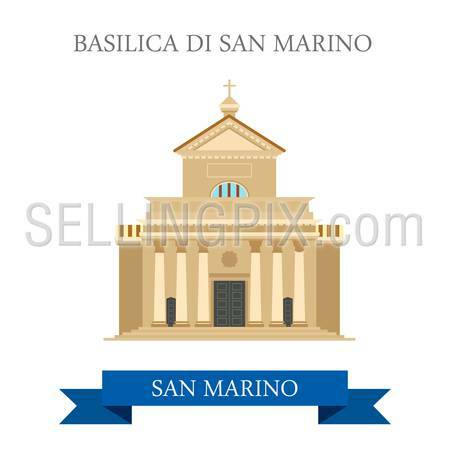 Flat cartoon style historic sight showplace attraction landmarks web site vector illustration. World countries cities vacation travel sightseeing collection. 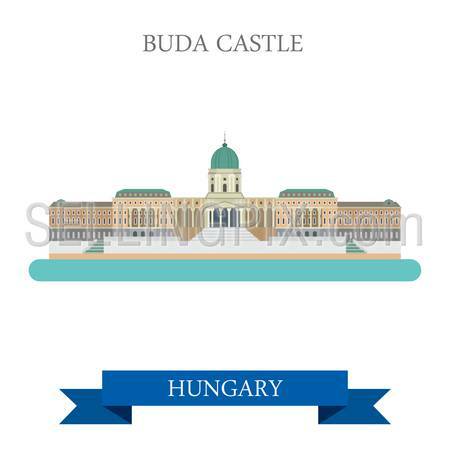 Buda Castle in Budapest Hungary. 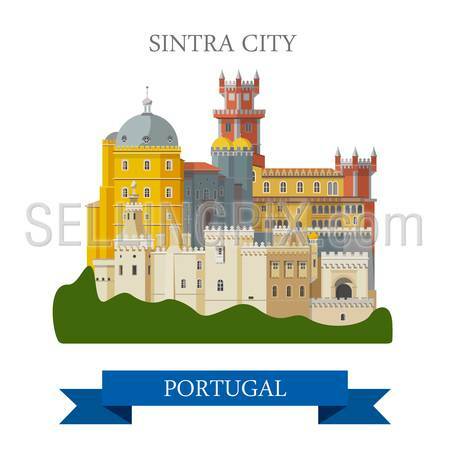 Flat cartoon style historic sight showplace attraction landmarks web site vector illustration. World countries cities vacation travel sightseeing collection. 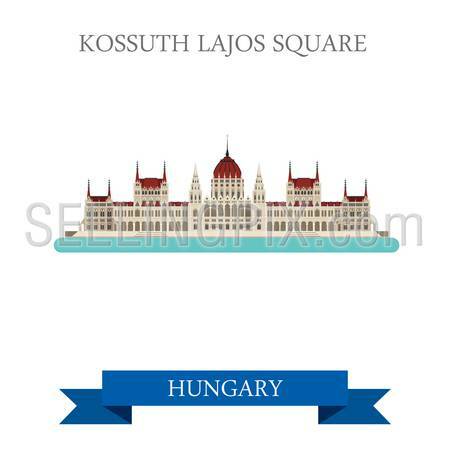 Kossuth Lajos Square in Budapest, Hungary. 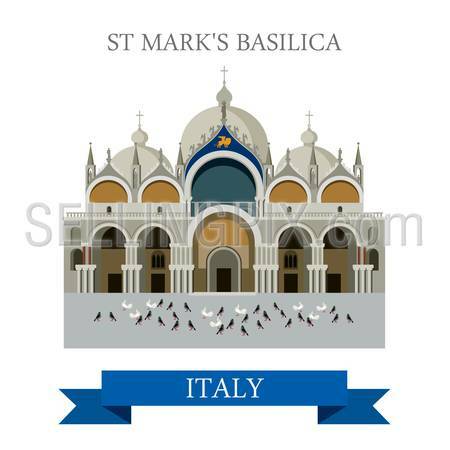 Flat cartoon style historic sight showplace attraction landmarks web site vector illustration. World countries cities vacation travel sightseeing collection. Szechenyi Chain Bridge in Budapest, Hungary. 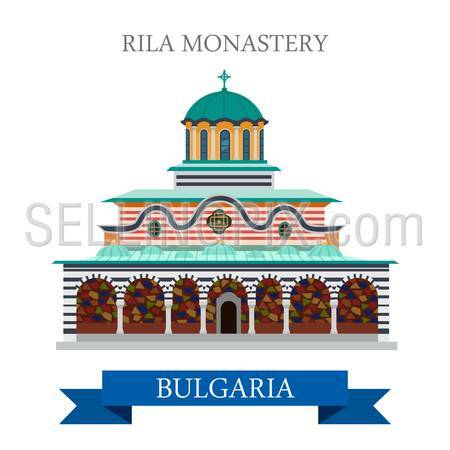 Flat cartoon style historic sight showplace attraction landmarks web site vector illustration. World countries cities vacation travel sightseeing collection. Eyjafjallajokull volcano in Iceland. 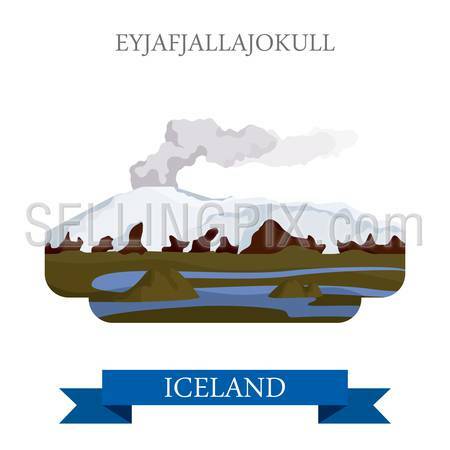 Flat cartoon style historic sight showplace attraction landmarks web site vector illustration. World countries cities vacation travel sightseeing collection. St Patrick’s Cathedral in Dublin, Ireland. 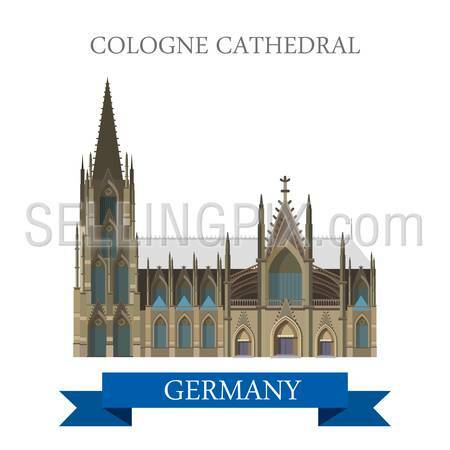 Flat cartoon style historic sight showplace attraction landmarks web site vector illustration. World countries cities vacation travel sightseeing collection. 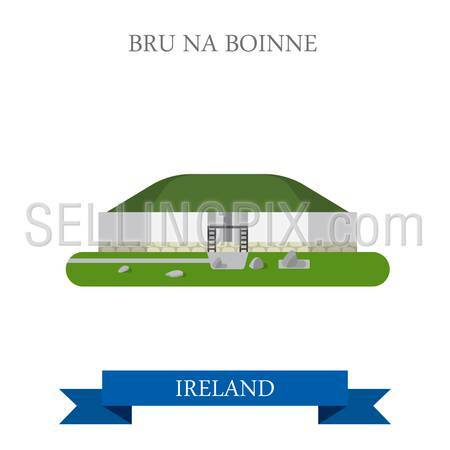 Bru na Boinne Palace in Ireland. 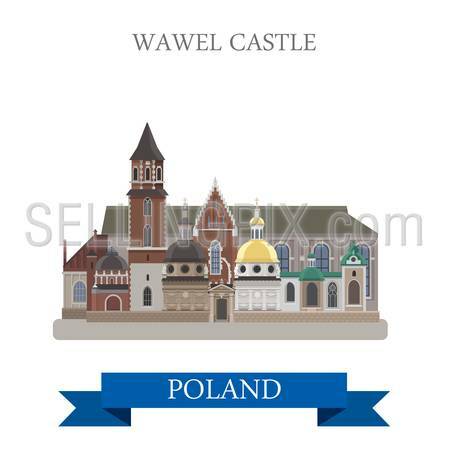 Flat cartoon style historic sight showplace attraction landmarks web site vector illustration. World countries cities vacation travel sightseeing collection. 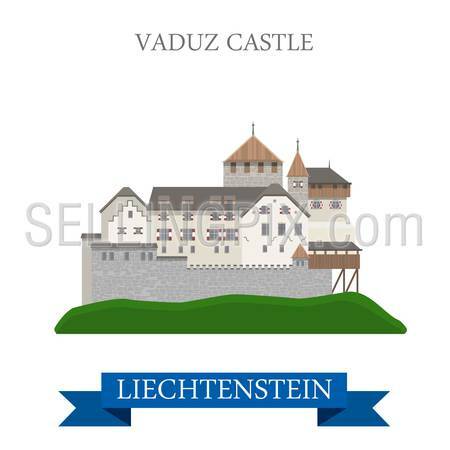 Vaduz Castle in Liechtenstein. 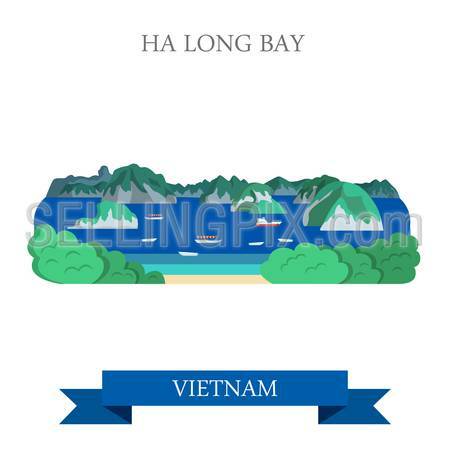 Flat cartoon style historic sight showplace attraction landmarks web site vector illustration. World countries cities vacation travel sightseeing collection. 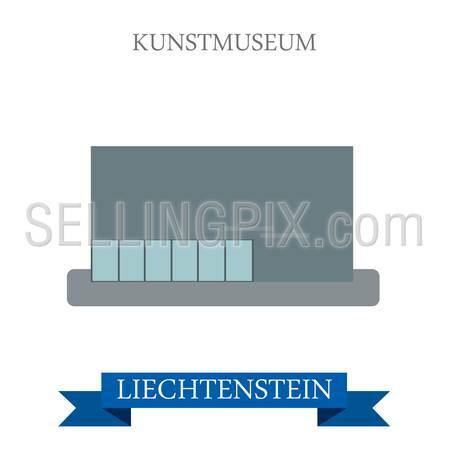 Kunstmuseum in Liechtenstein. 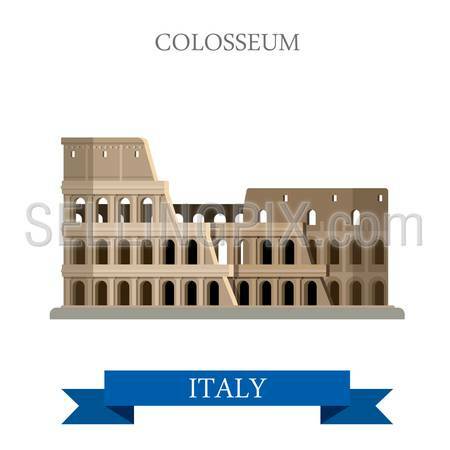 Flat cartoon style historic sight showplace attraction landmarks web site vector illustration. World countries cities vacation travel sightseeing collection. 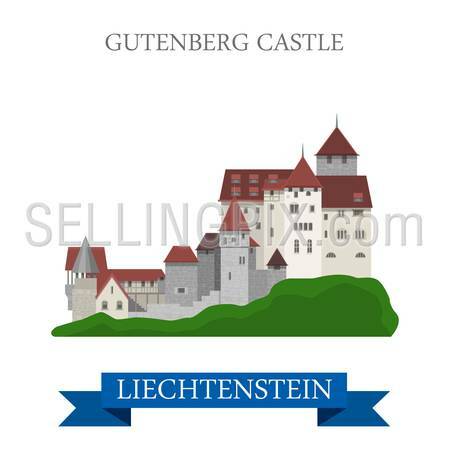 Gutenberg Castle in Liechtenstein. 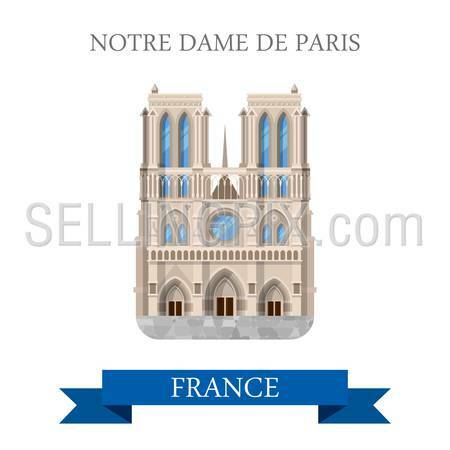 Flat cartoon style historic sight showplace attraction landmarks web site vector illustration. World countries cities vacation travel sightseeing collection. 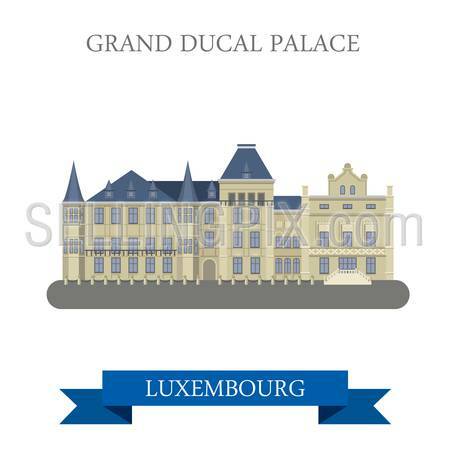 Grand Ducal Palace in Luxembourg. Flat cartoon style historic sight showplace attraction web site vector illustration. World countries cities vacation travel sightseeing collection. 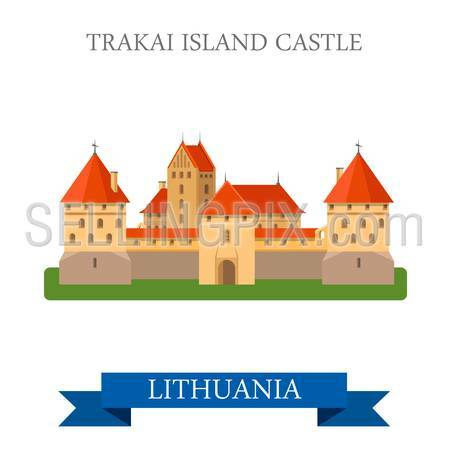 Trakai Island Castle in Lithuania. Flat cartoon style historic sight showplace attraction web site vector illustration. 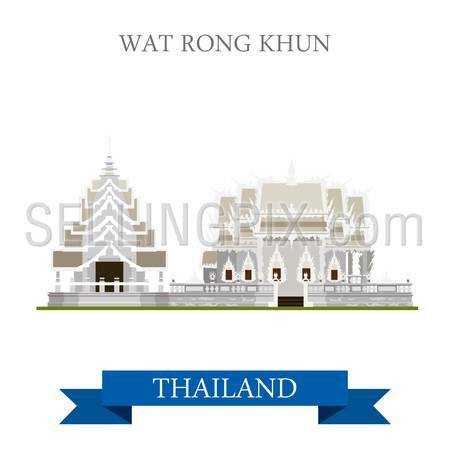 World countries cities vacation travel sightseeing landmarks collection. 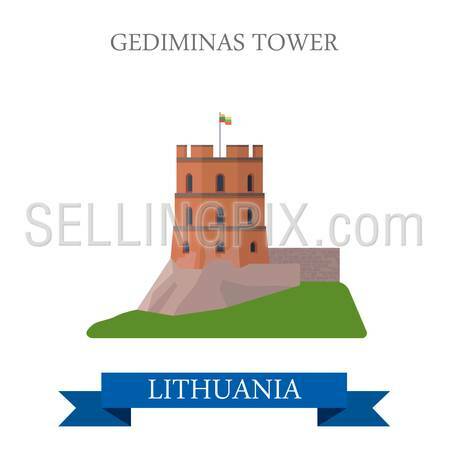 Gediminas Tower in Lithuania. 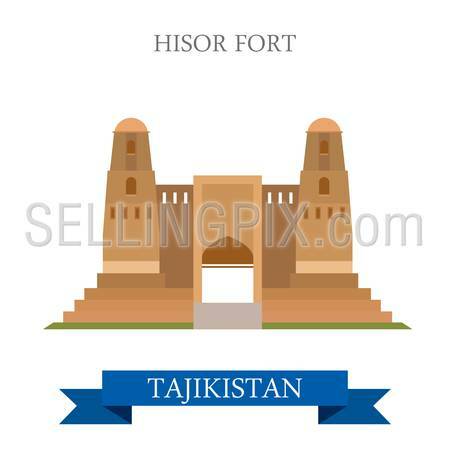 Flat cartoon style historic sight showplace attraction landmarks web site vector illustration. World countries cities vacation travel sightseeing collection. 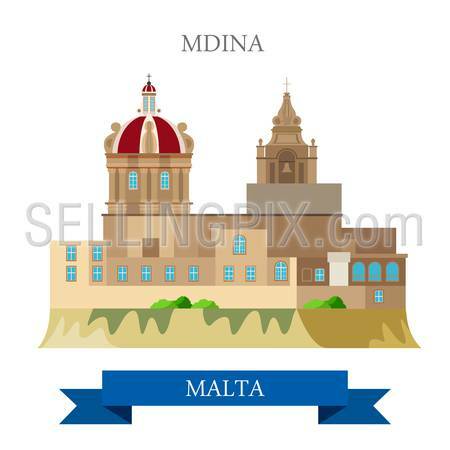 Mdina in Malta. Flat cartoon style historic sight showplace attraction web site vector illustration. World countries cities vacation travel sightseeing collection. 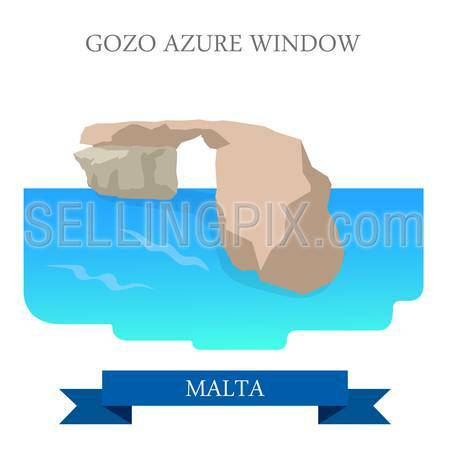 Gozo Azure Window in Malta. Flat cartoon style historic sight showplace attraction web site vector illustration. World countries cities vacation travel sightseeing collection. 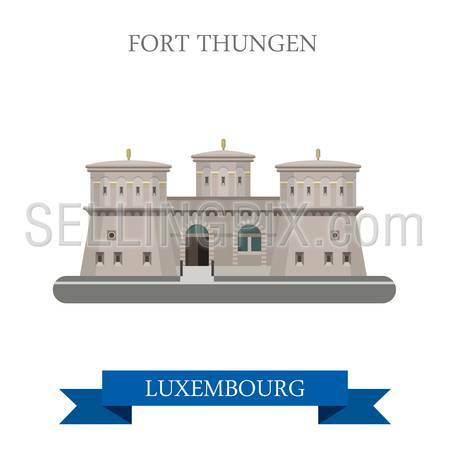 Fort Thungen in Luxembourg. Flat cartoon style historic sight showplace attraction web site vector illustration. World countries cities vacation travel sightseeing collection. 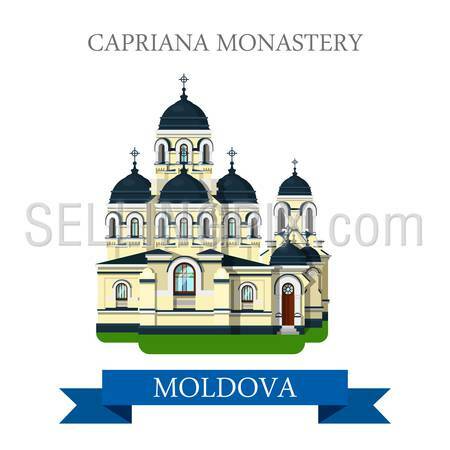 Capriana Monastery in Moldova. Flat cartoon style historic sight showplace attraction web site vector illustration. World countries cities vacation travel sightseeing collection. Blessed Virgin of Ta Pinu in Malta. Flat cartoon style historic sight showplace attraction web site vector illustration. World countries cities vacation travel sightseeing collection. 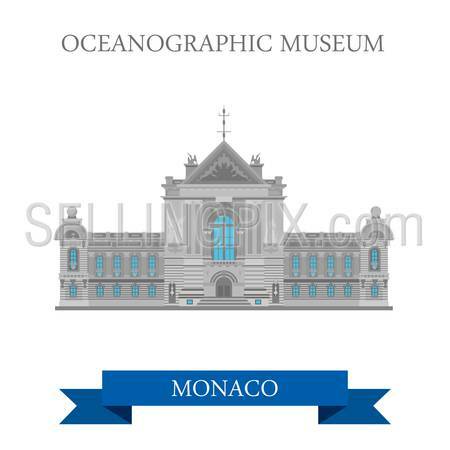 Oceanographic Museum in Monaco. Flat cartoon style historic sight showplace attraction web site vector illustration. World countries cities vacation travel sightseeing collection. 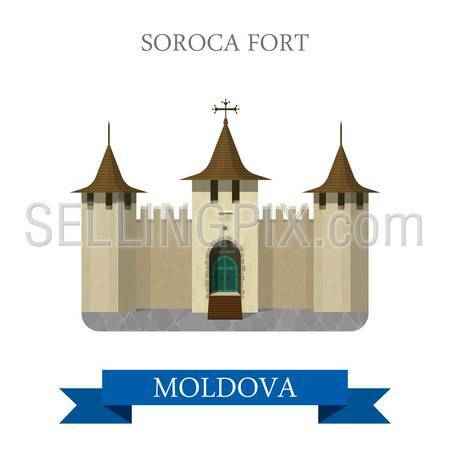 Soroca Fort in Moldova. Flat cartoon style historic sight showplace attraction web site vector illustration. World countries cities vacation travel sightseeing collection. 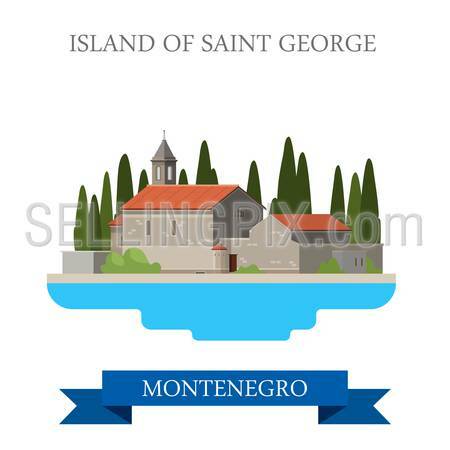 Island of Saint George in Montenegro. Flat cartoon style historic sight showplace attraction web site vector illustration. World countries cities vacation travel sightseeing collection. Prince’s Palace in Monaco. Flat cartoon style historic sight showplace attraction web site vector illustration. World countries cities vacation travel sightseeing collection. 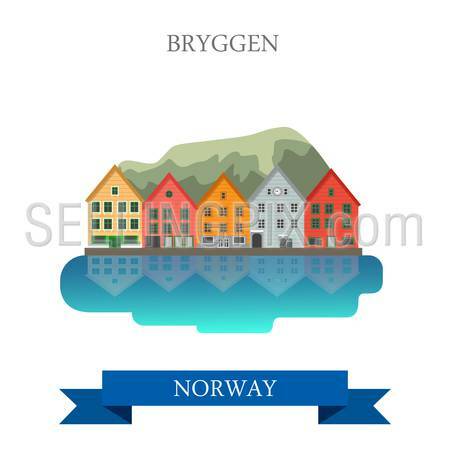 Bryggen in Norway. 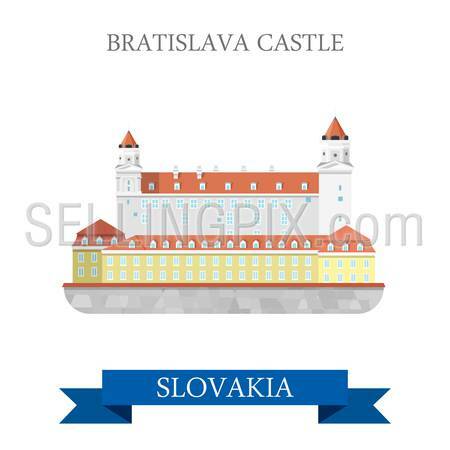 Flat cartoon style historic sight showplace attraction web site vector illustration. World countries cities vacation travel sightseeing collection. 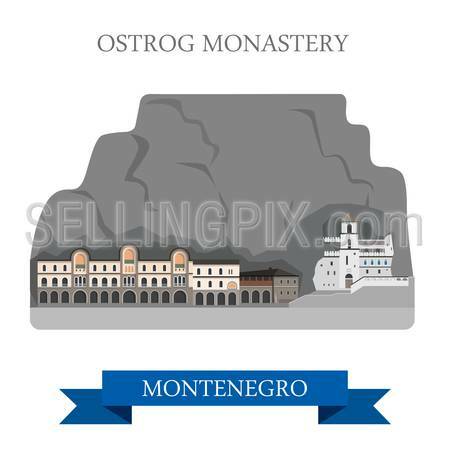 Ostrog Monastery in Montenegro. 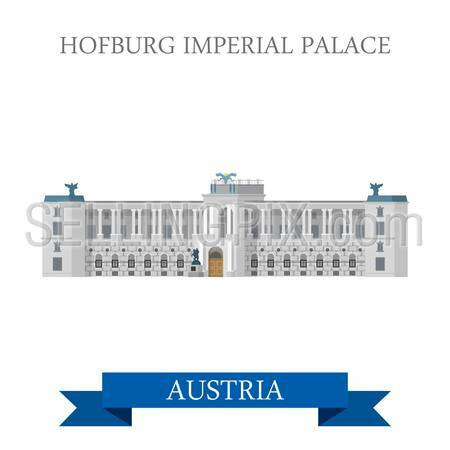 Flat cartoon style historic sight showplace attraction web site vector illustration. World countries cities vacation travel sightseeing collection. Krakow Old Town in Poland. Flat cartoon style historic sight showplace attraction web site vector illustration. World countries cities vacation travel sightseeing collection. Preikestolen in Norway. 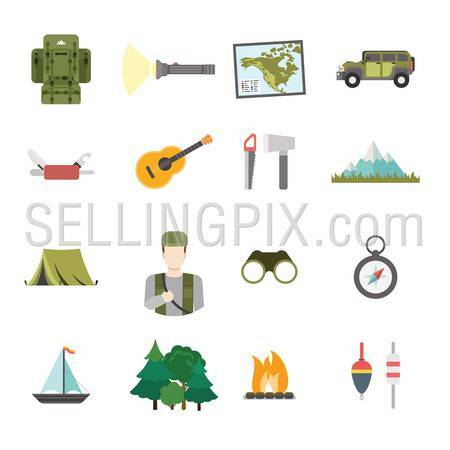 Flat cartoon style historic sight showplace attraction web site vector illustration. World countries cities vacation travel sightseeing collection. Convent of Christ in Poland. 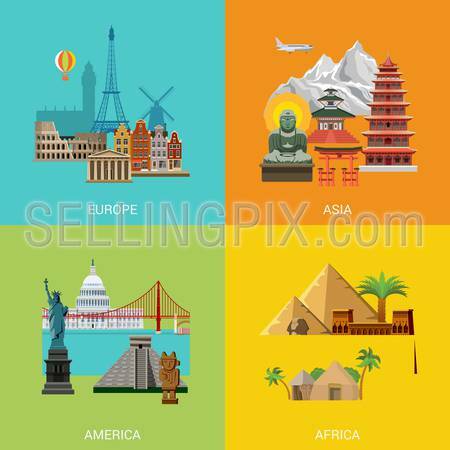 Flat cartoon style historic sight showplace attraction web site vector illustration. World countries cities vacation travel sightseeing collection. Wawel Castle in Poland. 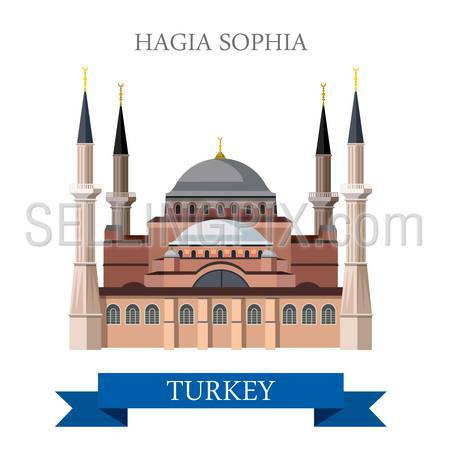 Flat cartoon style historic sight showplace attraction web site vector illustration. World countries cities vacation travel sightseeing collection. 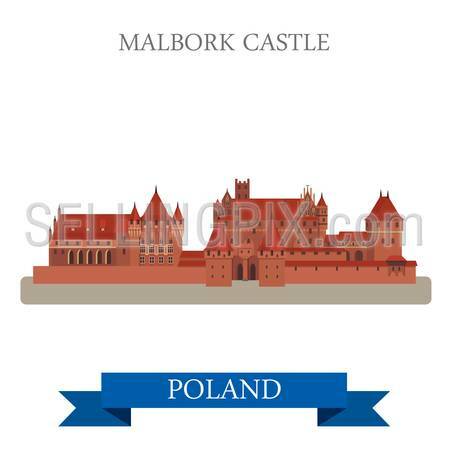 Malbork Castle in Poland. 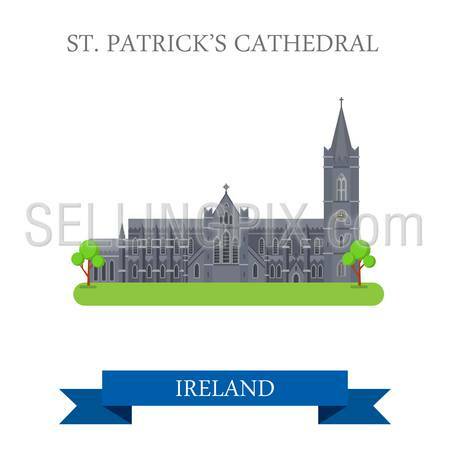 Flat cartoon style historic sight showplace attraction web site vector illustration. World countries cities vacation travel sightseeing collection. Sintra City in Portugal. 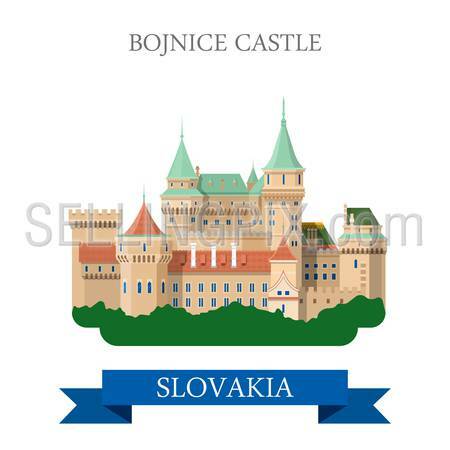 Flat cartoon style historic sight showplace attraction web site vector illustration. World countries cities vacation travel sightseeing collection. 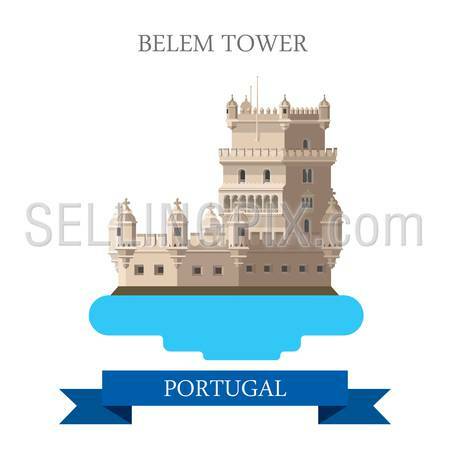 Belem Tower in Lisbon Portugal. 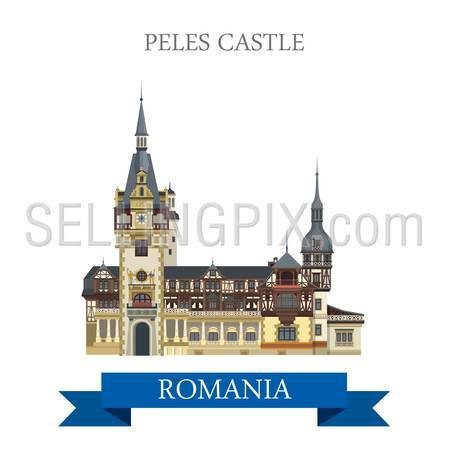 Flat cartoon style historic sight showplace attraction web site vector illustration. World countries cities vacation travel sightseeing collection. 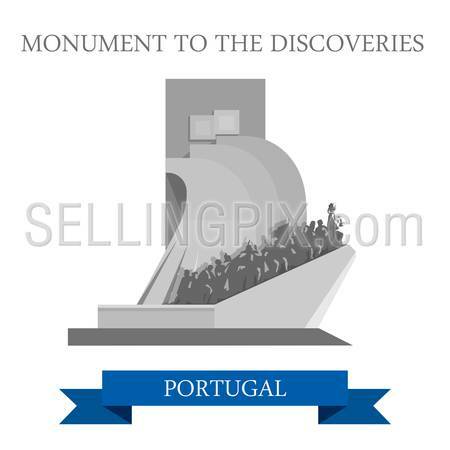 Monument to the Discoveries in Portugal. 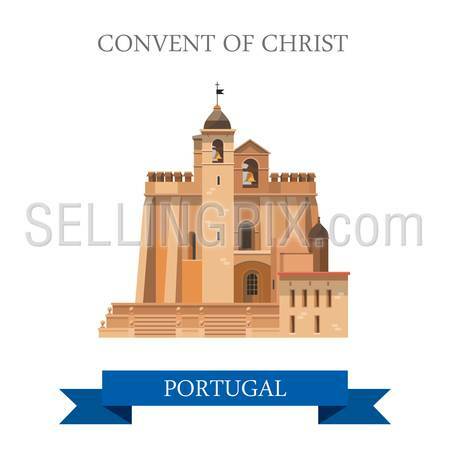 Flat cartoon style historic sight showplace attraction web site vector illustration. World countries cities vacation travel sightseeing collection. 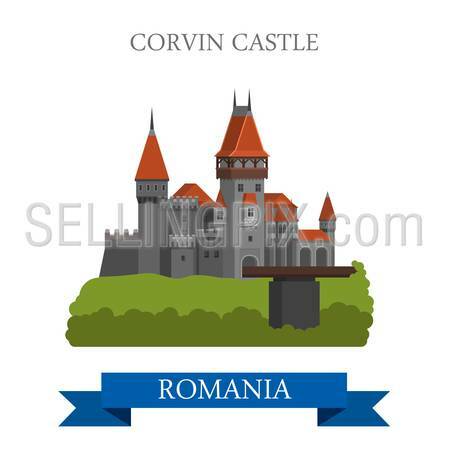 Corvin Castle in Romania. 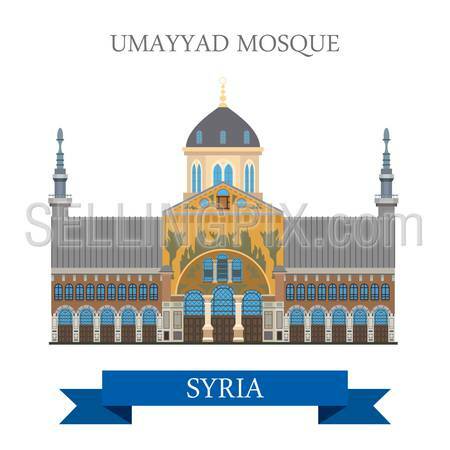 Flat cartoon style historic sight showplace attraction web site vector illustration. World countries cities vacation travel sightseeing collection. 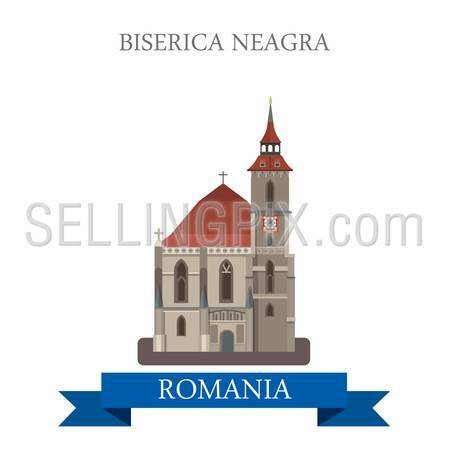 Biserica Neagra in Romania. Flat cartoon style historic sight showplace attraction web site vector illustration. World countries cities vacation travel sightseeing collection. Peles Castle in Romania. 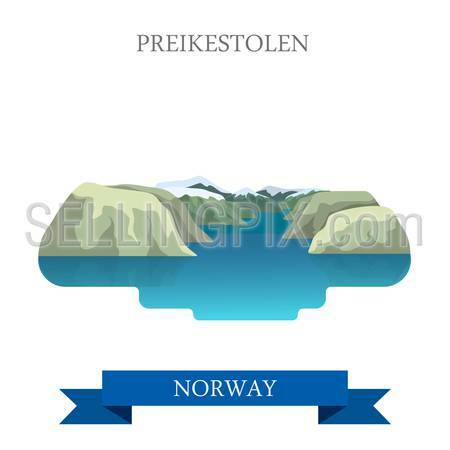 Flat cartoon style historic sight showplace attraction web site vector illustration. World countries cities vacation travel sightseeing collection. 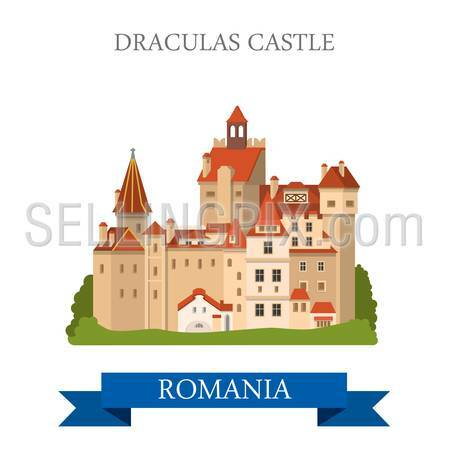 Drakula’s Castle in Romania. Flat cartoon style historic sight showplace attraction web site vector illustration. World countries cities vacation travel sightseeing collection. Palazzo Pubblico in San Marino. Flat cartoon style historic sight showplace attraction web site vector illustration. World countries cities vacation travel sightseeing collection. Basilica di San Marino. Flat cartoon style historic sight showplace attraction web site vector illustration. World countries cities vacation travel sightseeing collection. 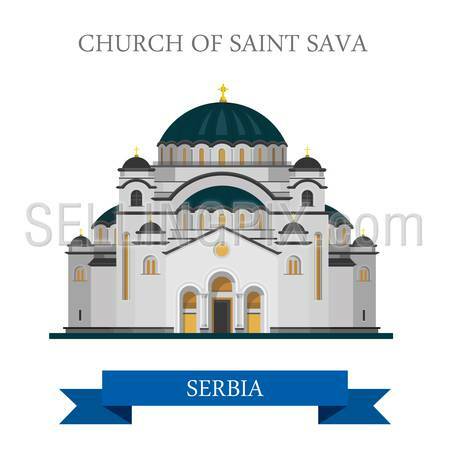 Church of Saint Sava in Belgrade Serbia. 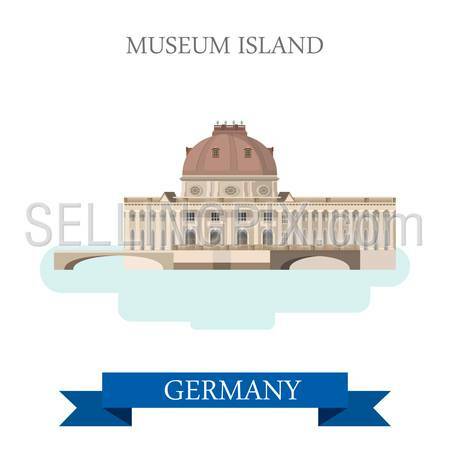 Flat cartoon style historic sight showplace attraction web site vector illustration. World countries cities vacation travel sightseeing collection. 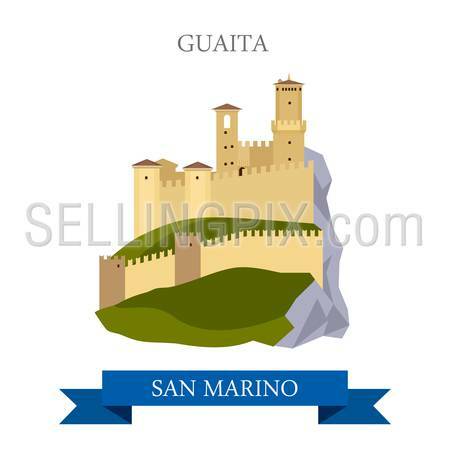 Guaita in San Marino. 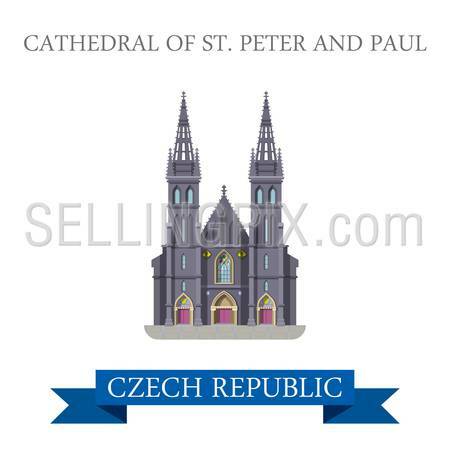 Flat cartoon style historic sight showplace attraction web site vector illustration. World countries cities vacation travel sightseeing collection. Lake Bled in Slovenia. 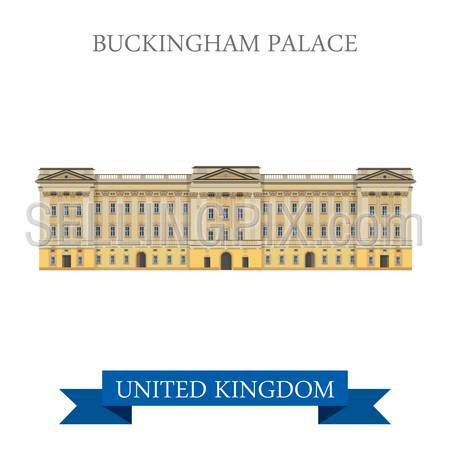 Flat cartoon style historic sight showplace attraction web site vector illustration. World countries cities vacation travel sightseeing collection. 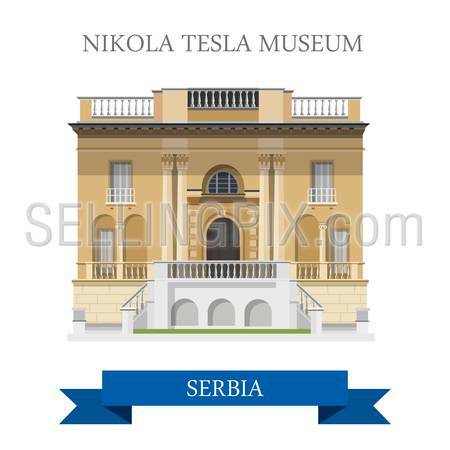 Nikola Tesla Museum in Belgrade Serbia. Flat cartoon style historic sight showplace attraction web site vector illustration. World countries cities vacation travel sightseeing collection. Buckingham Palace in London, Great Britain, United Kingdom. 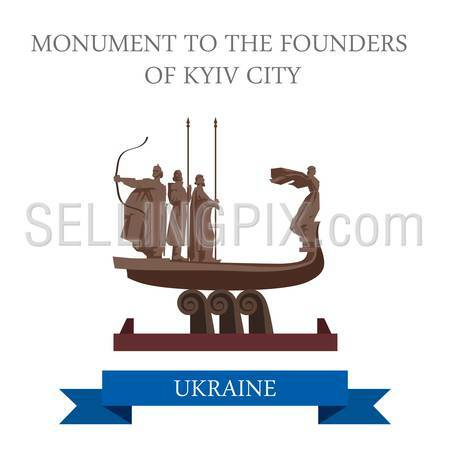 Flat cartoon style historic sight showplace attraction web site vector. World countries cities vacation travel sightseeing collection. Edinburgh Castle in Scotland, United Kingdom. Flat cartoon style historic sight showplace attraction web site vector illustration. World countries cities vacation travel sightseeing collection. Motherland Monument in Kyiv Kiev Ukraine. Flat cartoon style historic sight showplace attraction web site vector illustration. World countries cities vacation travel sightseeing collection. Maidan Nezalezhnosti in Kyiv Kiev Ukraine. Flat cartoon style historic sight showplace attraction web site vector illustration. World countries cities vacation travel sightseeing collection. 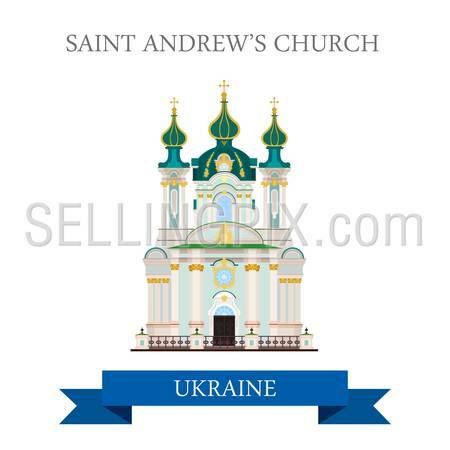 St Andrew’s Church in Kyiv Kiev Ukraine. Flat cartoon style historic sight showplace attraction web site vector illustration. World countries cities vacation travel sightseeing collection. 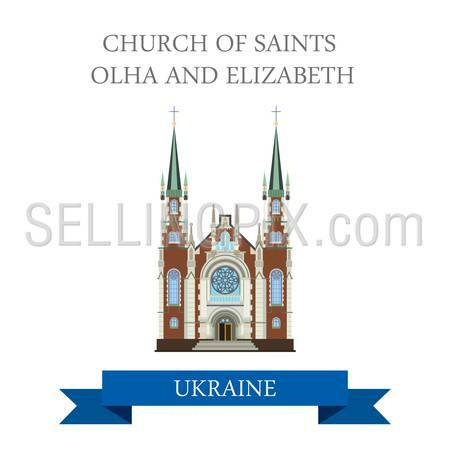 Church of Sts Olha and Elizabeth in Lviv Ukraine. Flat cartoon style historic sight showplace attraction web site vector illustration. World countries cities vacation travel sightseeing collection. Golden Gates in Kyiv Kiev Ukraine. Flat cartoon style historic sight showplace attraction web site vector illustration. World countries cities vacation travel sightseeing collection. Bratislava Grad Castle in Slovakia. Flat cartoon style historic sight showplace attraction web site vector illustration. World countries cities vacation travel sightseeing collection. Bojnice Castle in Slovakia. Flat cartoon style historic sight showplace attraction web site vector illustration. World countries cities vacation travel sightseeing collection. Kyiv Pechersk Lavra Monastery in Kiev Ukraine. Flat cartoon style historic sight showplace attraction web site vector illustration. World countries cities vacation travel sightseeing collection. 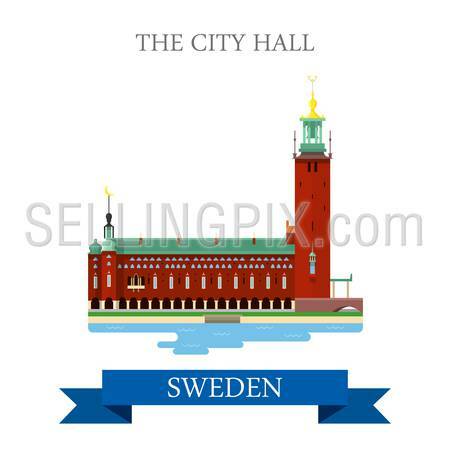 City Hall in Stockholm Sweden. Flat cartoon style historic sight showplace attraction web site vector illustration. World countries cities vacation travel sightseeing collection. Lund Cathedral in Sweden. Flat cartoon style historic sight showplace attraction web site vector illustration. World countries cities vacation travel sightseeing collection. 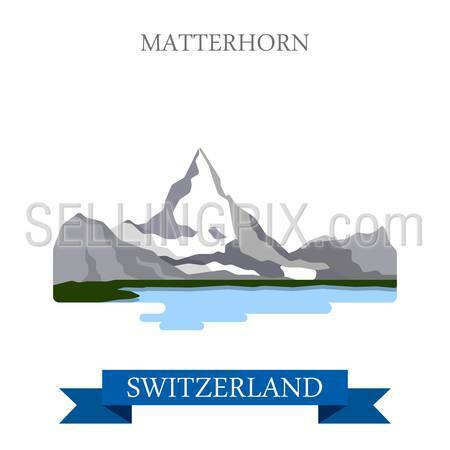 Matterhorn in Switzerland. Flat cartoon style historic sight showplace attraction web site vector illustration. World countries cities vacation travel sightseeing collection. 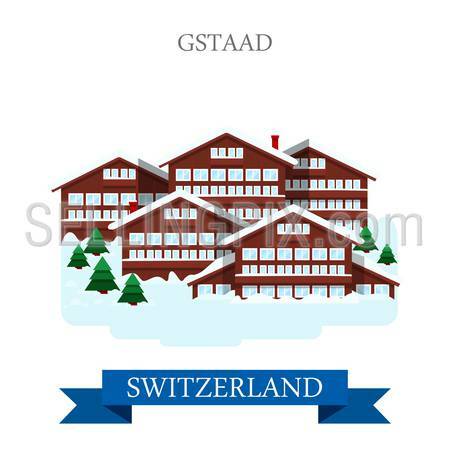 Gstaad in Switzerland. Flat cartoon style historic sight showplace attraction web site vector illustration. World countries cities vacation travel sightseeing collection. 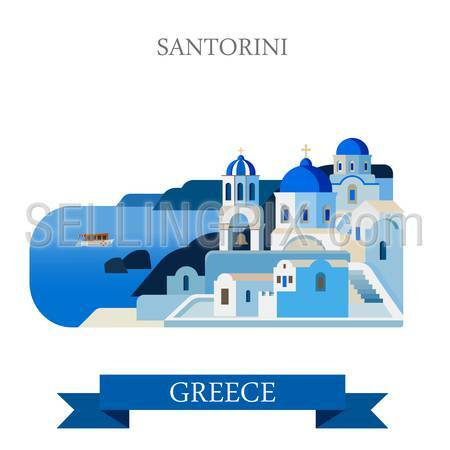 Worldwide travel vacation holiday landmark sightseeing plane ticket booking concept flat line art vector icons. Modern website infographics illustration hero image web banner. Lineart collection. 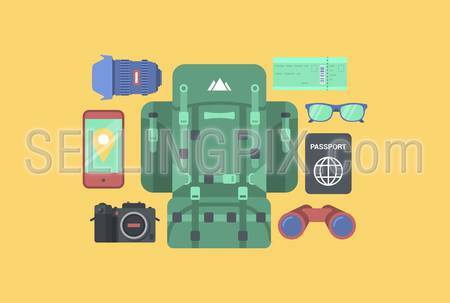 Flat style travel tourism sightseeing accessory equipment vector illustration web icon set. Backpack rucksack map binocular compass flashlight jeep knife multitool fireplace yacht float bobber. 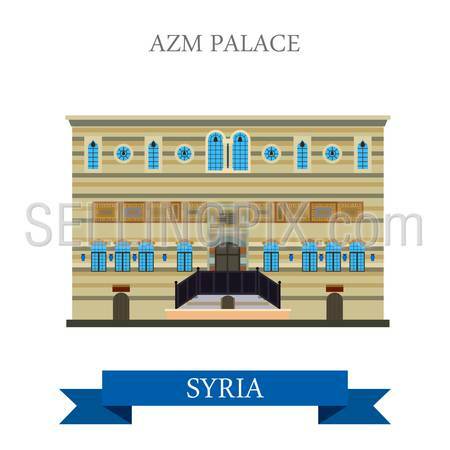 Azm Palace in Damascus Syria. Flat cartoon style historic sight showplace attraction web site vector illustration. World countries cities vacation travel sightseeing Asia collection. Umayyad Mosque in Damascus Syria. Flat cartoon style historic sight showplace attraction web site vector illustration. World countries cities vacation travel sightseeing Asia collection. 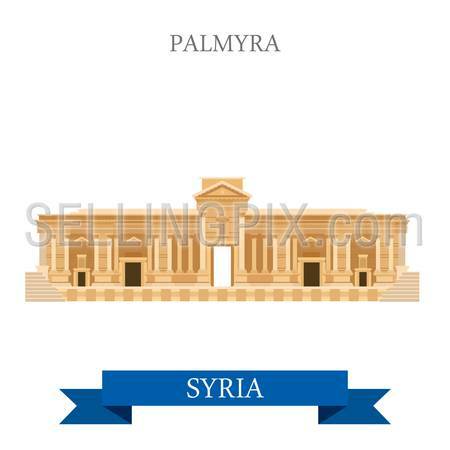 Palmyra in Syria. Flat cartoon style historic sight showplace attraction web site vector illustration. World countries cities vacation travel sightseeing Asia collection. 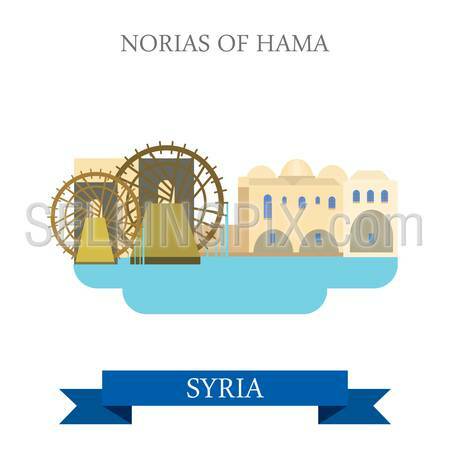 Norias of Hama in Syria. Flat cartoon style historic sight showplace attraction web site vector illustration. World countries cities vacation travel sightseeing Asia collection. Hisor Fort in Dushanbe Tajikistan. Flat cartoon style historic sight showplace attraction web site vector illustration. World countries cities vacation travel sightseeing Asia collection. Historical Museum in Sughd in Tajikistan. Flat cartoon style historic sight showplace attraction web site vector illustration. World countries cities vacation travel sightseeing Asia collection. 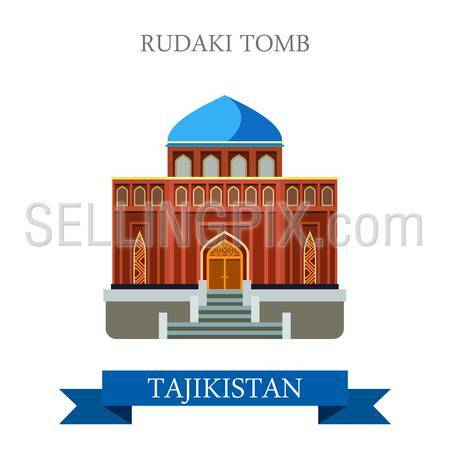 Rudaki Poet Tomb in Tajikistan. Flat cartoon style historic sight showplace attraction web site vector illustration. World countries cities vacation travel sightseeing Asia collection. 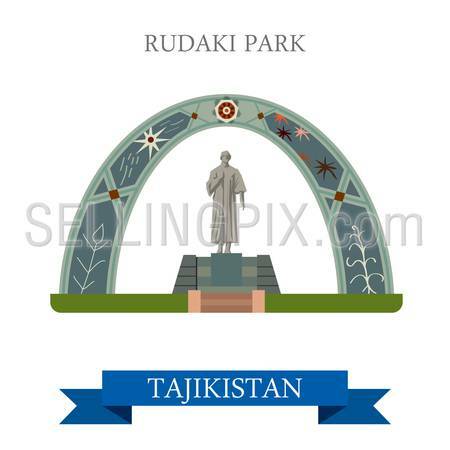 Rudaki Poet Park in Dushanbe Tajikistan. Flat cartoon style historic sight showplace attraction web site vector illustration. World countries cities vacation travel sightseeing Asia collection. 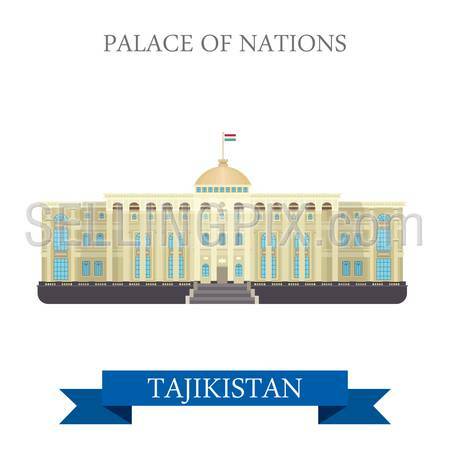 Palace of Nations in Dushanbe Tajikistan. Flat cartoon style historic sight showplace attraction web site vector illustration. World countries cities vacation travel sightseeing Asia collection. Grand Palace in Bangkok Thailand. Flat cartoon style historic sight showplace attraction web site vector illustration. World countries cities vacation travel sightseeing Asia collection. Baiyoke Tower II in Bangkok Thailand. Flat cartoon style historic sight showplace attraction web site vector illustration. World countries cities vacation travel sightseeing Asia collection. Sukhothai Historical Park in Thailand. Flat cartoon style historic sight showplace attraction web site vector illustration. World countries cities vacation travel sightseeing Asia collection. 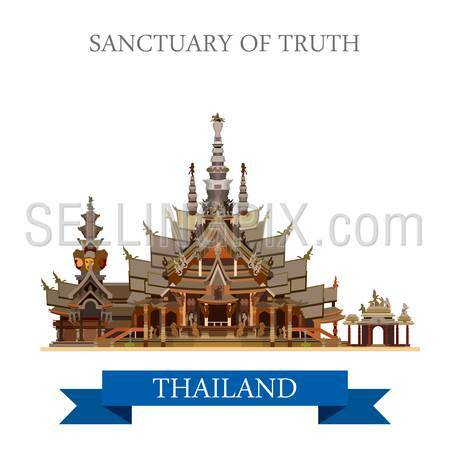 Sanctuary of Truth in Thailand. Flat cartoon style historic sight showplace attraction web site vector illustration. World countries cities vacation travel sightseeing Asia collection. Wat Rong Khun in Thailand. Flat cartoon style historic sight showplace attraction web site vector illustration. World countries cities vacation travel sightseeing Asia collection. 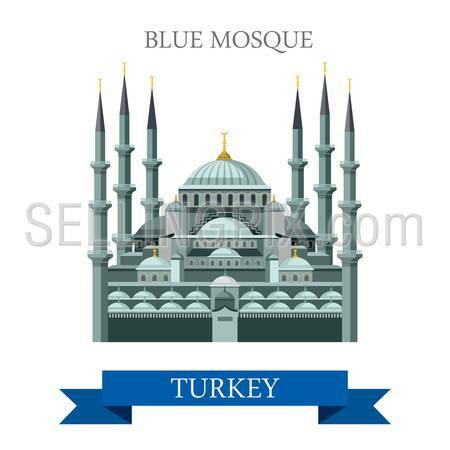 Blue Mosque in Istanbul Turkey. Flat cartoon style historic sight showplace attraction web site vector illustration. World countries cities vacation travel sightseeing Asia collection. Hagia Sophia in Istanbul Turkey. Flat cartoon style historic sight showplace attraction web site vector illustration. World countries cities vacation travel sightseeing Asia collection. Cappadocia in Turkey. Flat cartoon style historic sight showplace attraction web site vector illustration. World countries cities vacation travel sightseeing Asia collection. 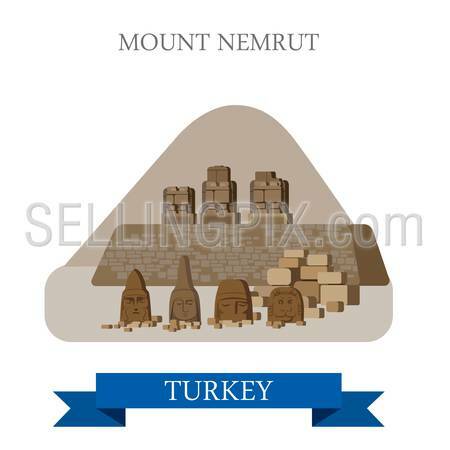 Mount Nemrut in Turkey. Flat cartoon style historic sight showplace attraction web site vector illustration. World countries cities vacation travel sightseeing Asia collection. Pamukkale in Turkey. Flat cartoon style historic sight showplace attraction web site vector illustration. World countries cities vacation travel sightseeing Asia collection. 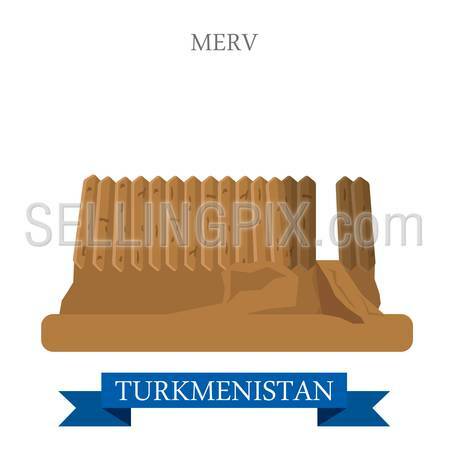 Merv in Turkmenistan. Flat cartoon style historic sight showplace attraction web site vector illustration. World countries cities vacation travel sightseeing Asia collection. Konye-Urgench in Turkmenistan. Flat cartoon style historic sight showplace attraction web site vector illustration. World countries cities vacation travel sightseeing Asia collection. 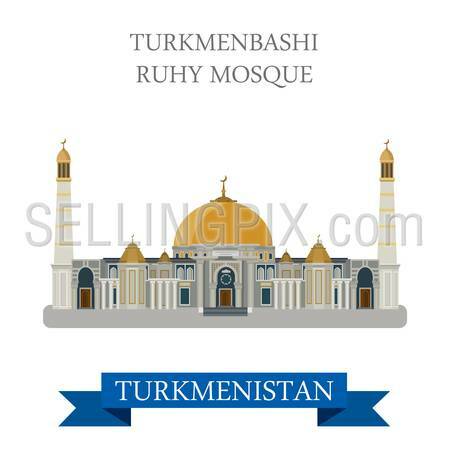 Turkmenbashi Ruhy Mosque in Ashgabat Turkmenistan. Flat cartoon style historic sight showplace attraction web site vector illustration. World countries cities vacation travel sightseeing Asia collection. 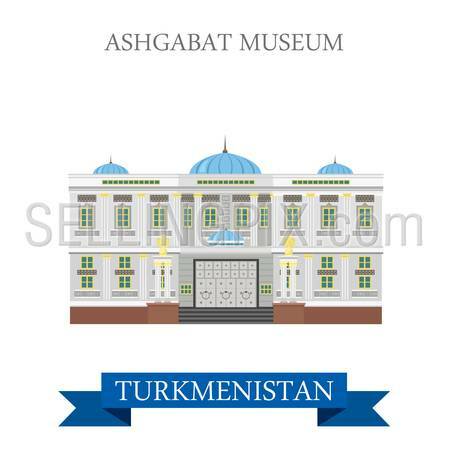 Ashgabat Museum in Turkmenistan. Flat cartoon style historic sight showplace attraction web site vector illustration. World countries cities vacation travel sightseeing Asia collection. 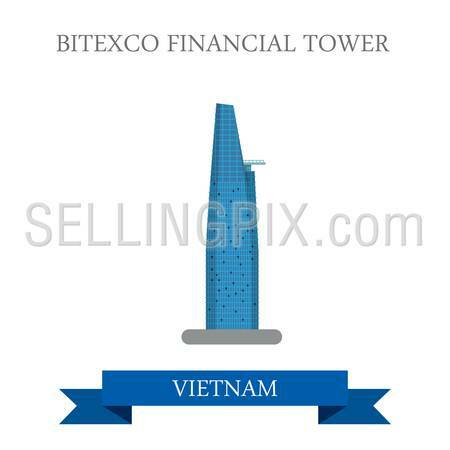 Bitexco Financial Tower in Ho Chi Minh City, Vietnam. Flat cartoon style historic sight showplace attraction web site vector illustration. World countries cities vacation travel sightseeing Asia collection. 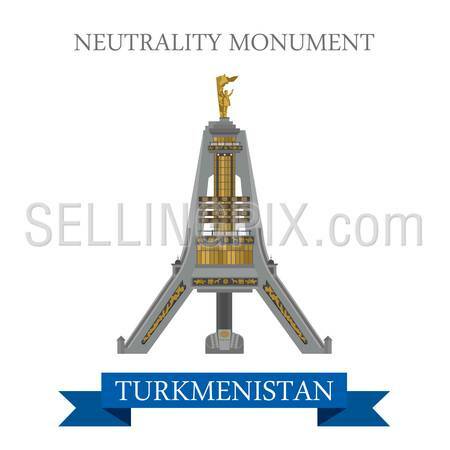 Neutrality Monument in Ashgabat Turkmenistan. Flat cartoon style historic sight showplace attraction web site vector illustration. World countries cities vacation travel sightseeing Asia collection. Ha Long Bay in Vietnam. Flat cartoon style historic sight showplace attraction web site vector illustration. World countries cities vacation travel sightseeing Asia collection. 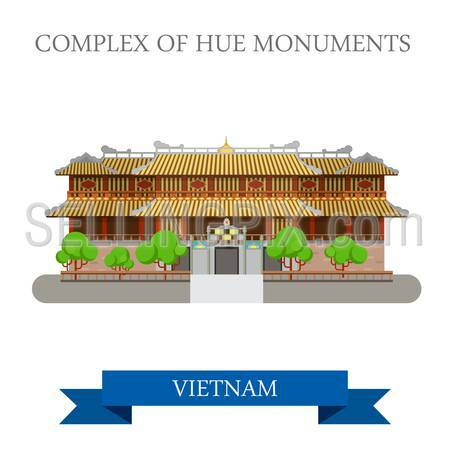 Imperial City aka Complex of Hue Monuments in Vietnam. Flat cartoon style historic sight showplace attraction web site vector illustration. World cities vacation travel sightseeing Asia collection. 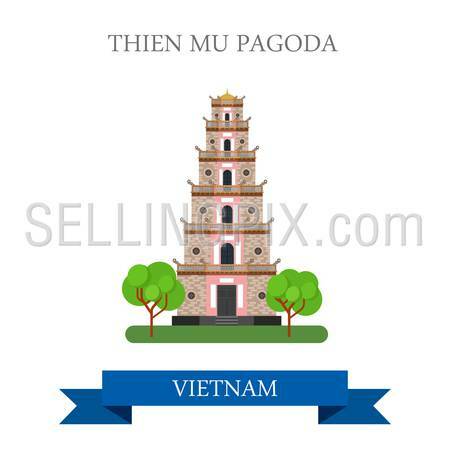 Thien Mu Pagoda in Vietnam. Flat cartoon style historic sight showplace attraction web site vector illustration. World countries cities vacation travel sightseeing Asia collection.